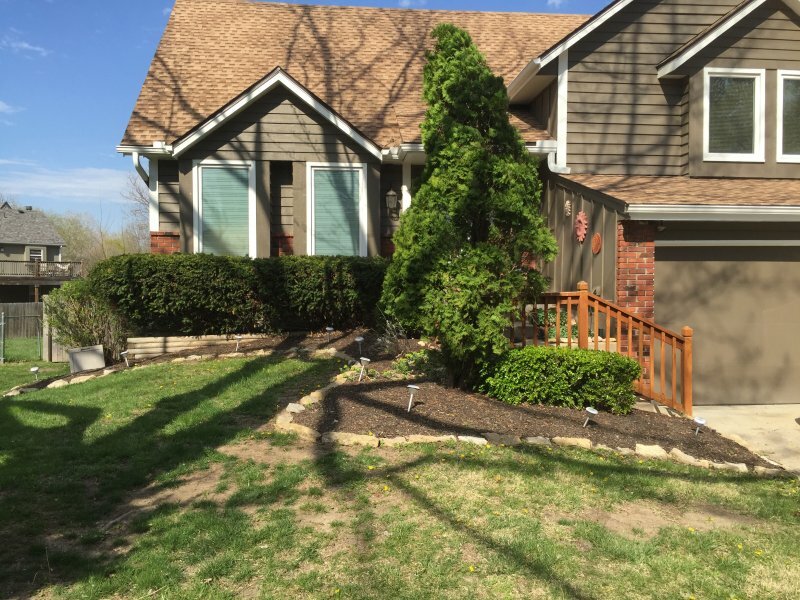 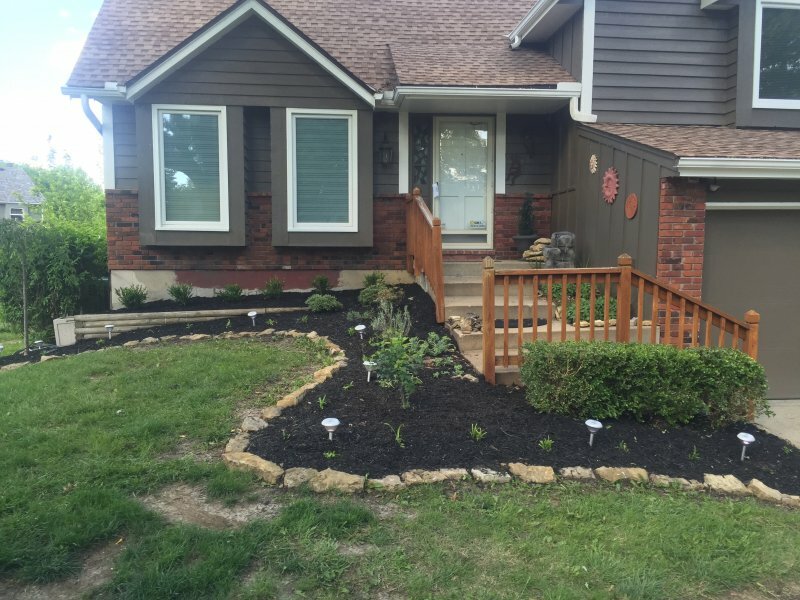 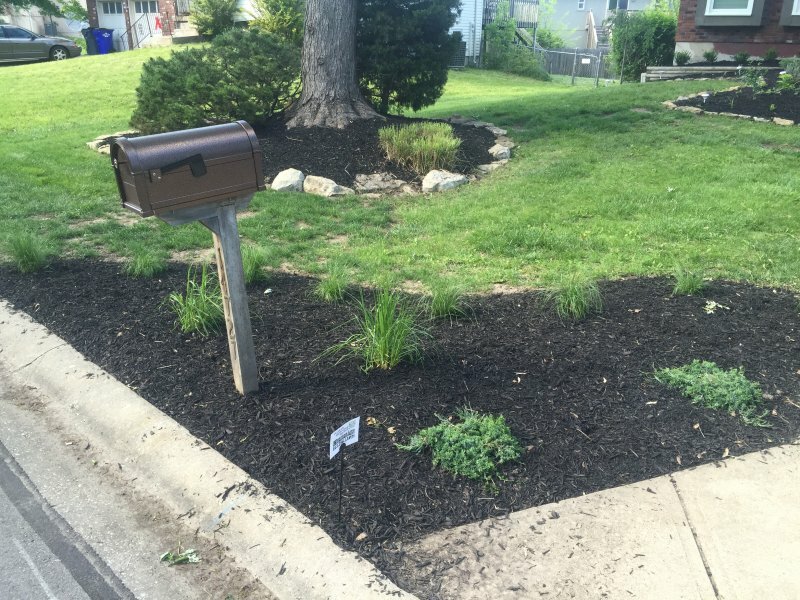 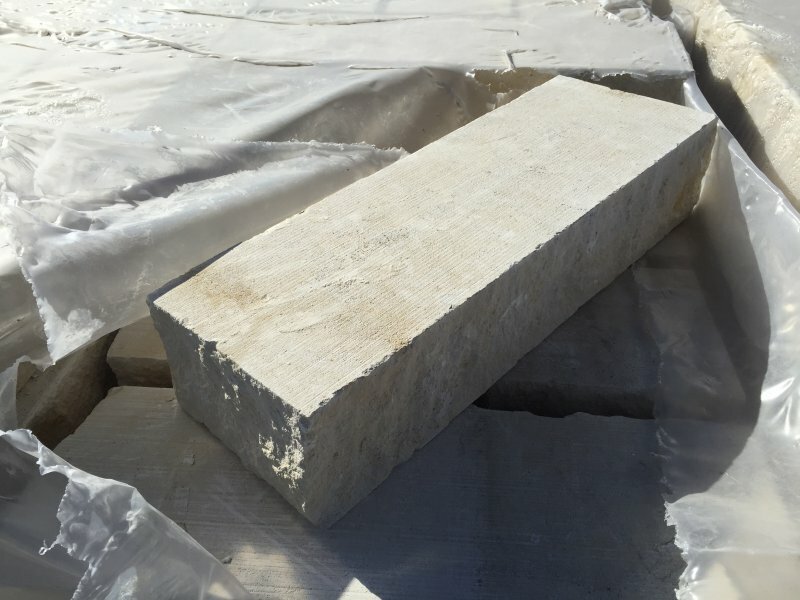 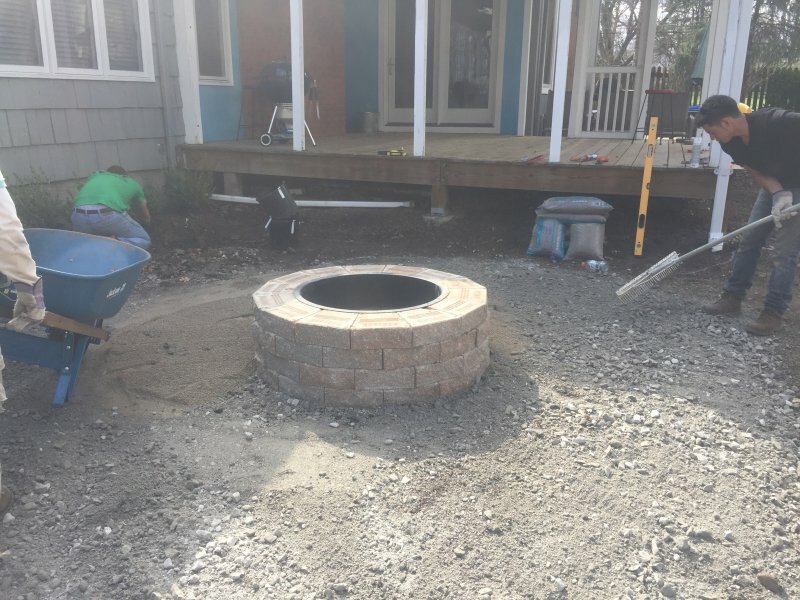 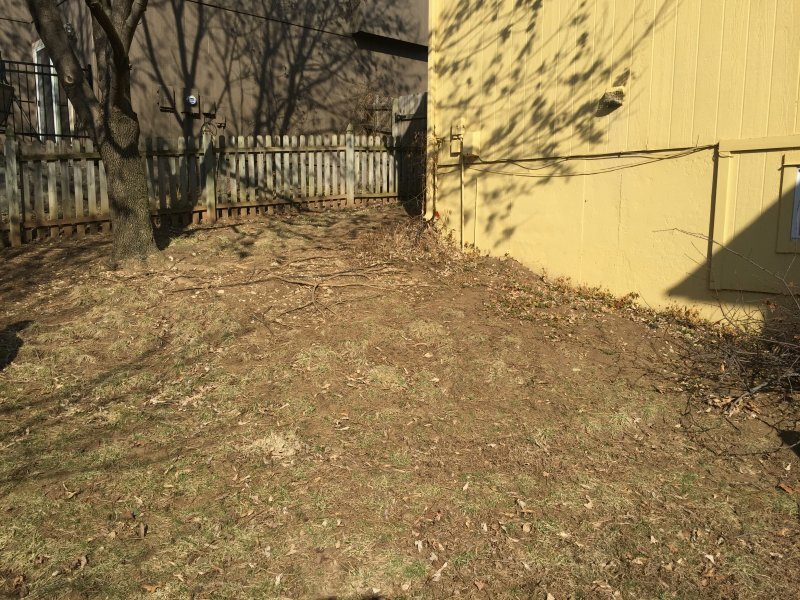 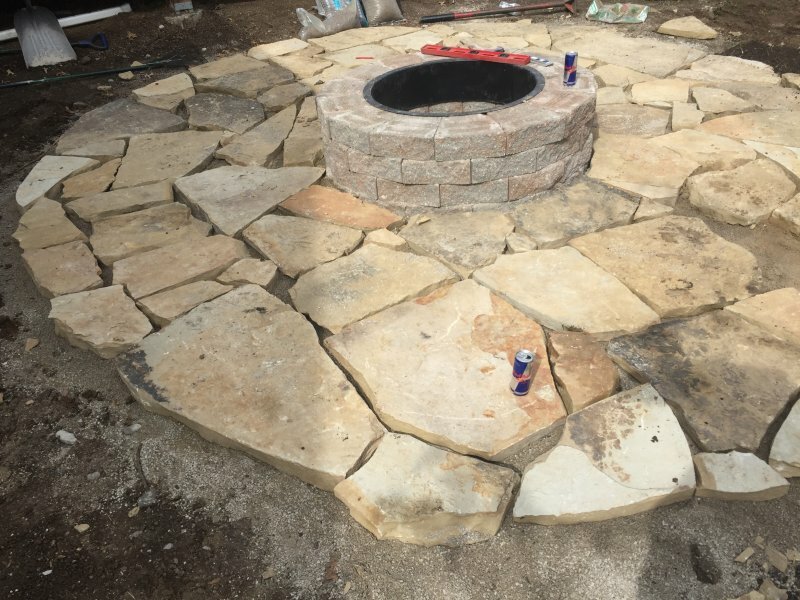 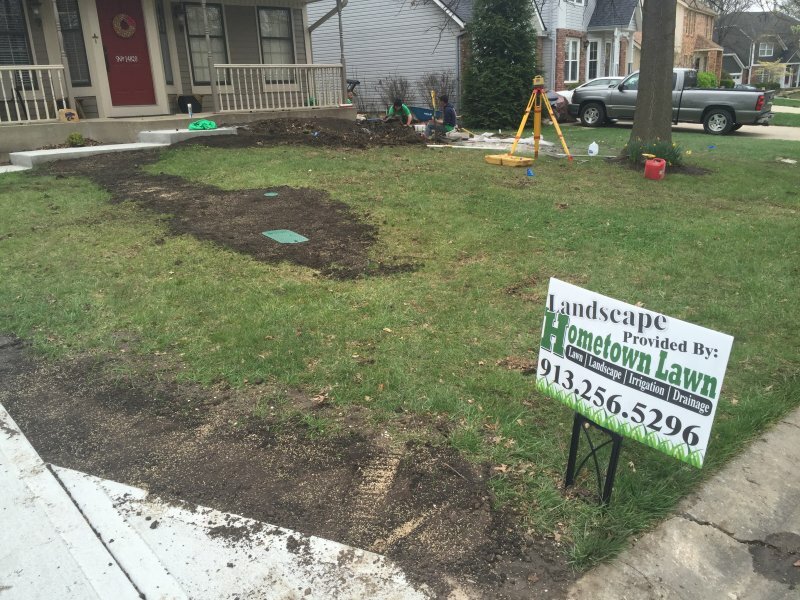 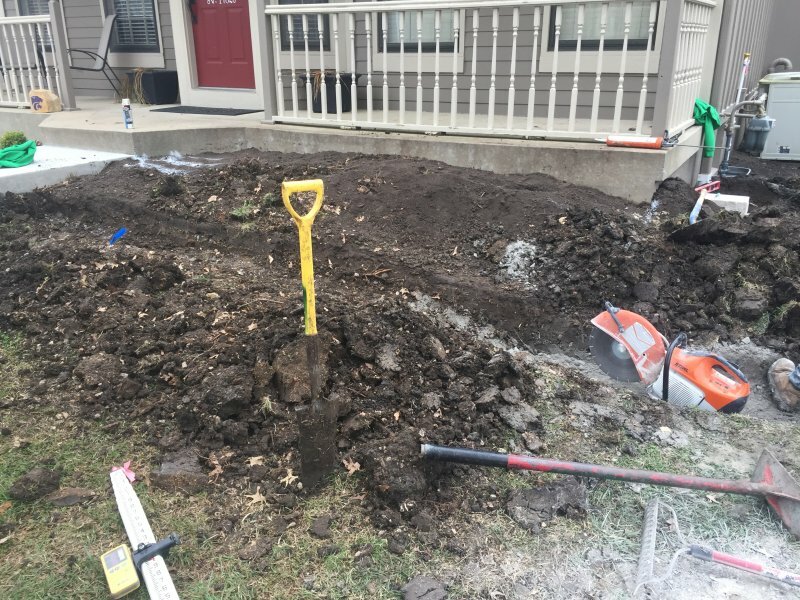 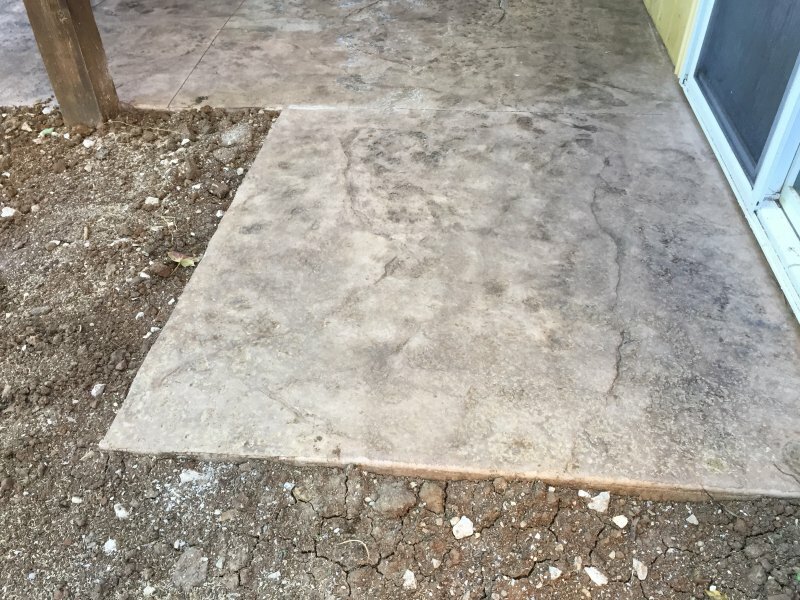 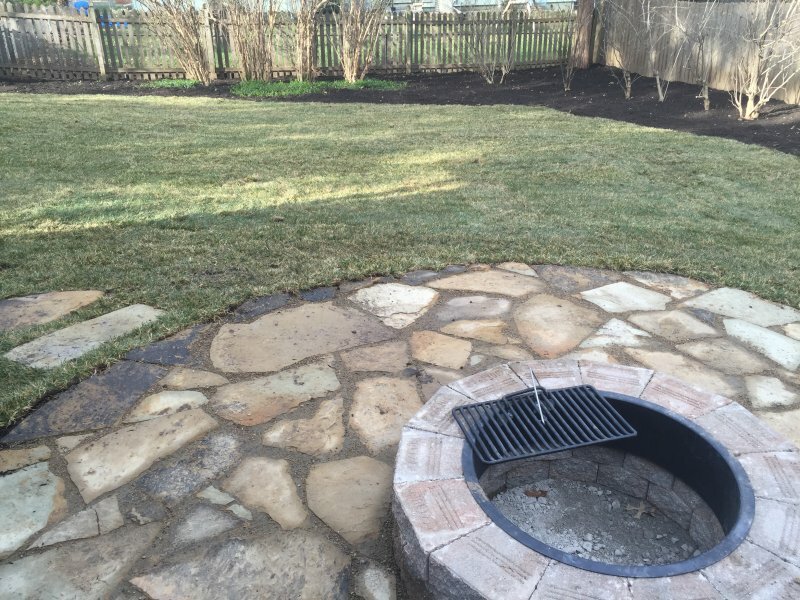 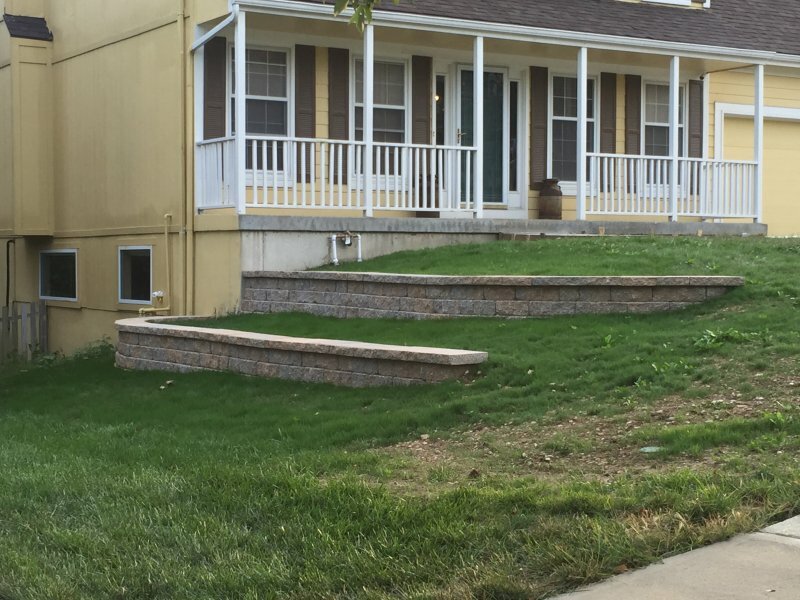 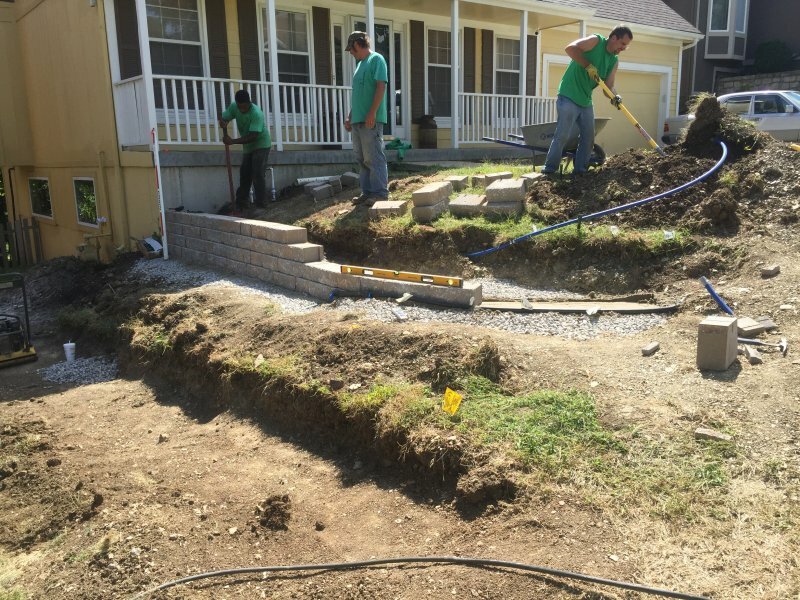 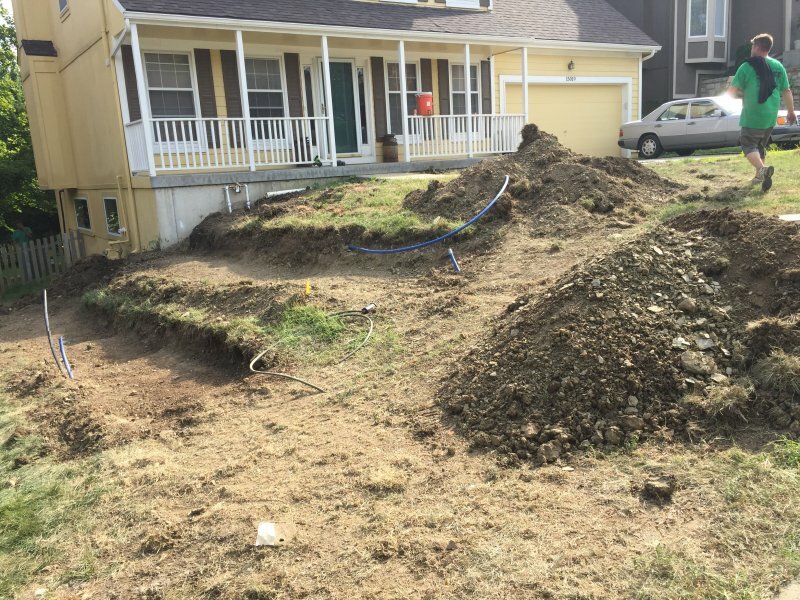 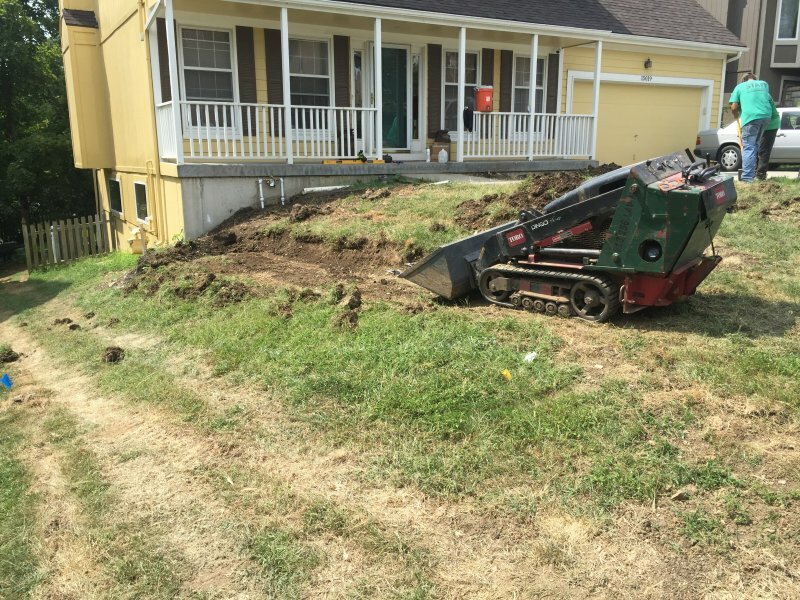 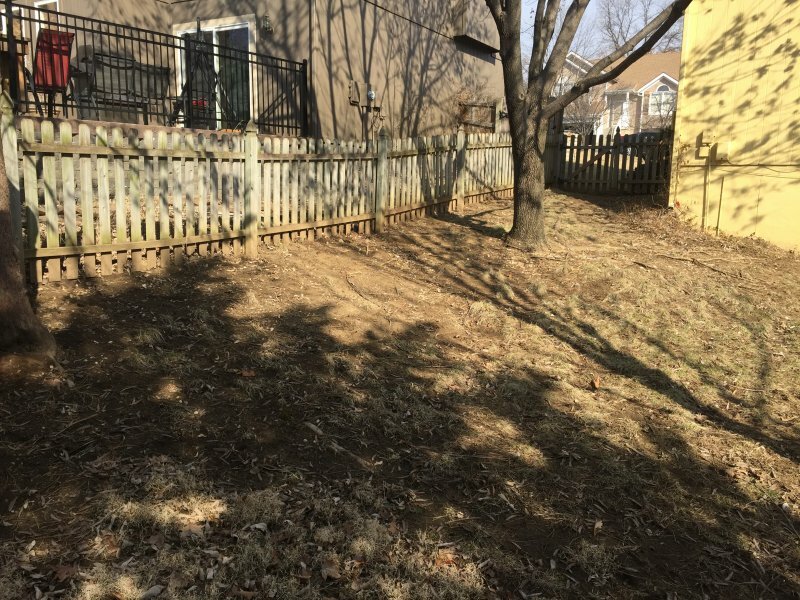 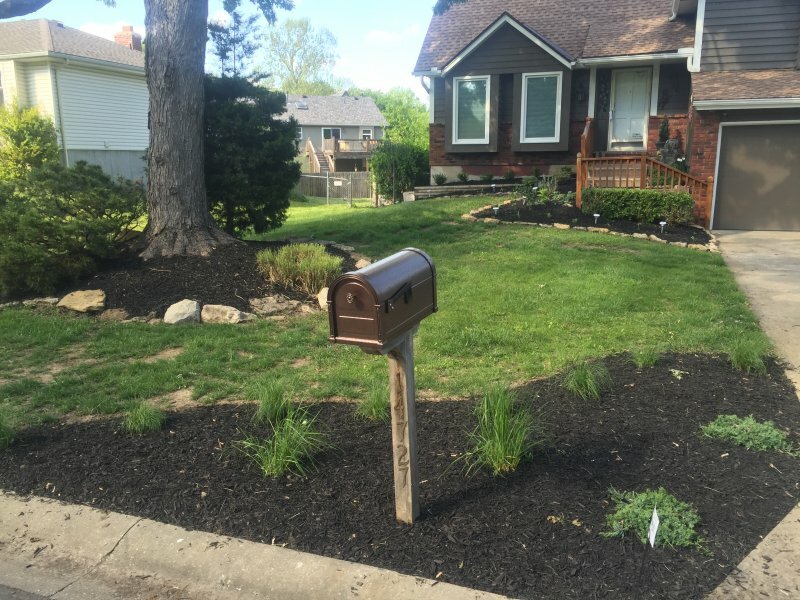 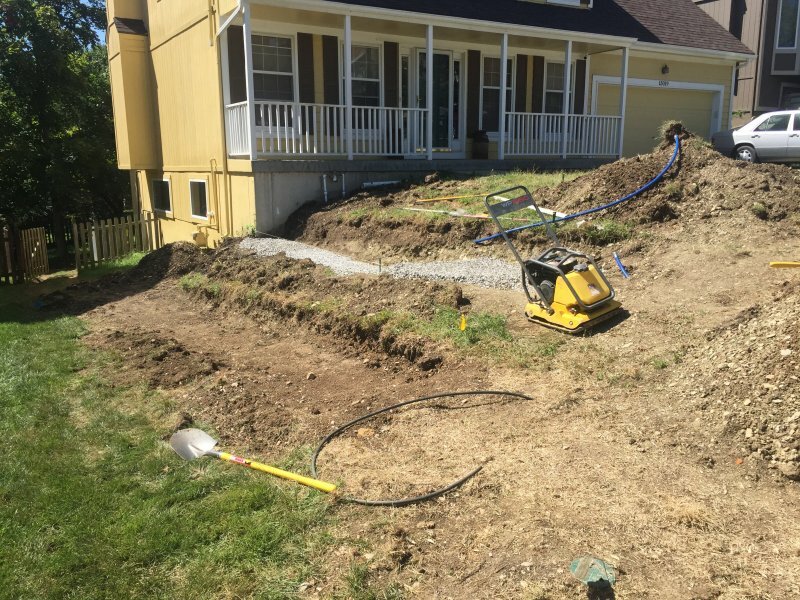 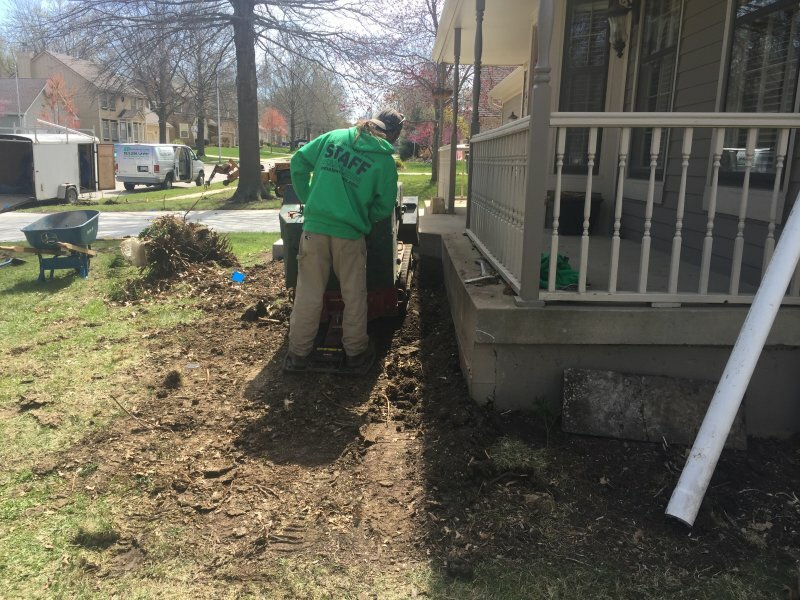 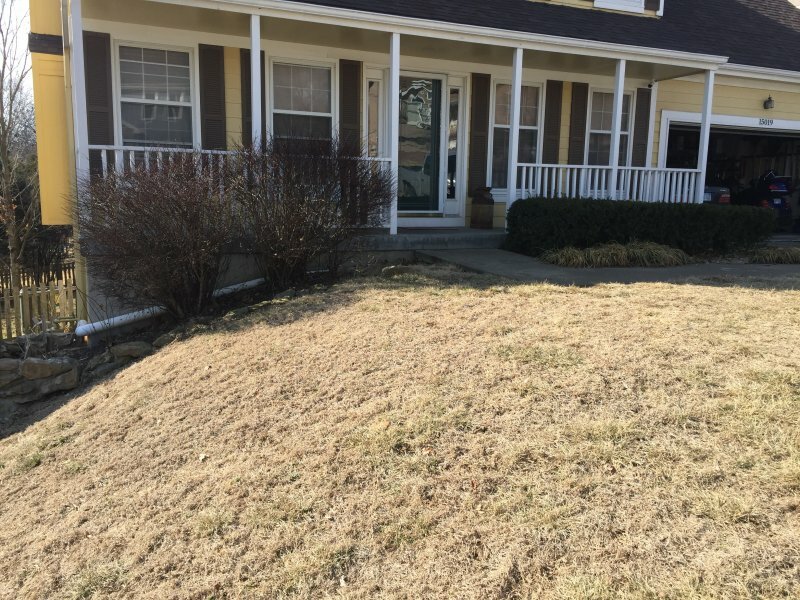 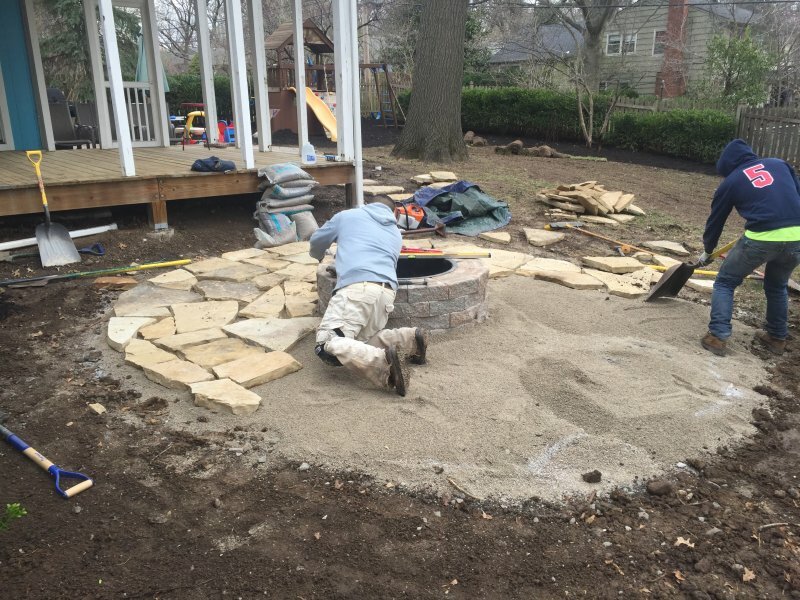 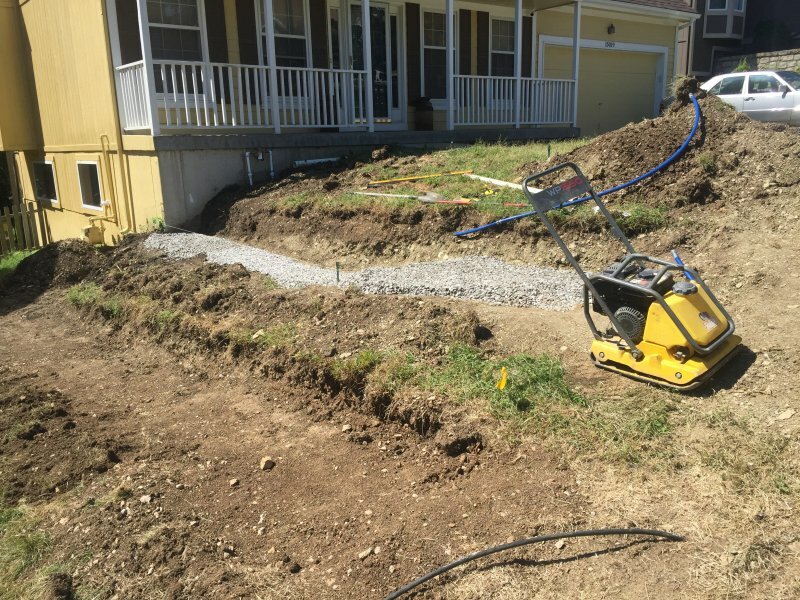 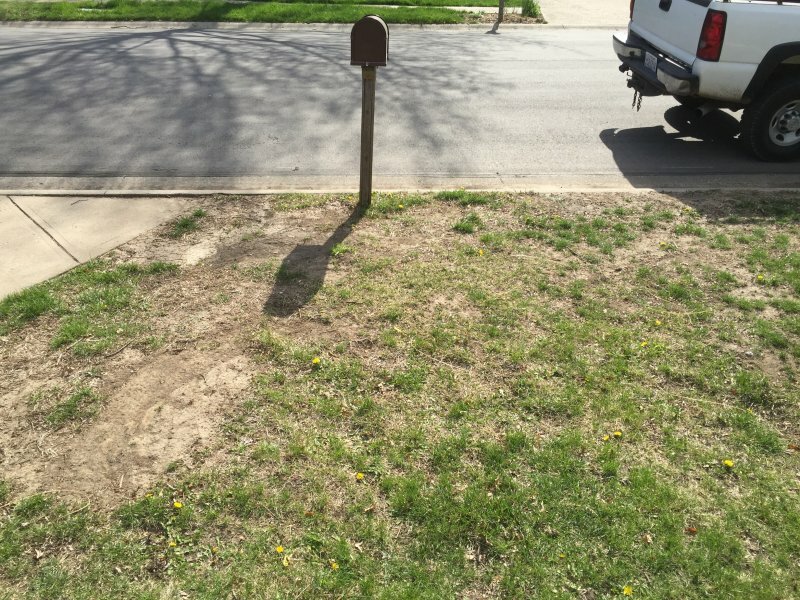 Review a variety of projects performed by Hometown Lawn. 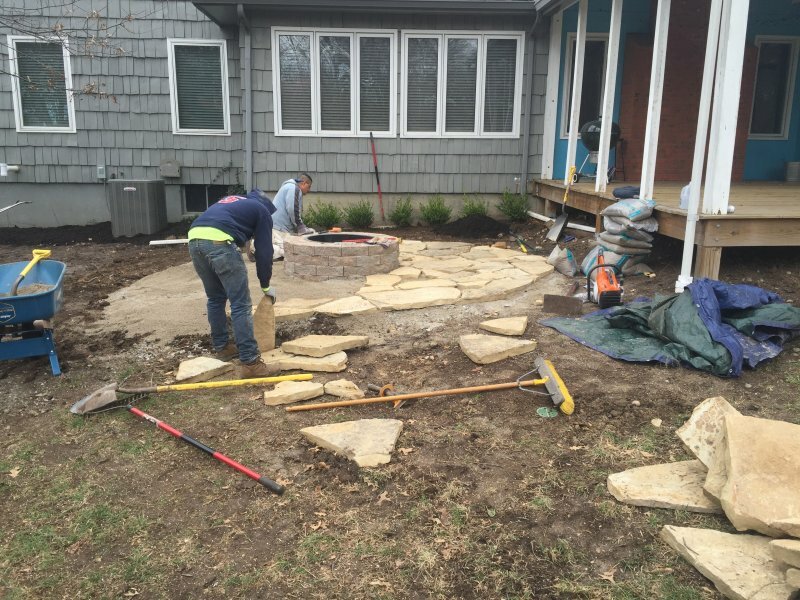 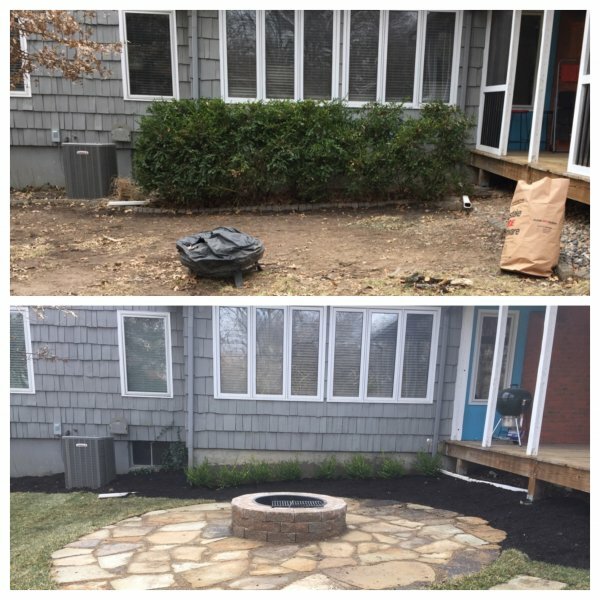 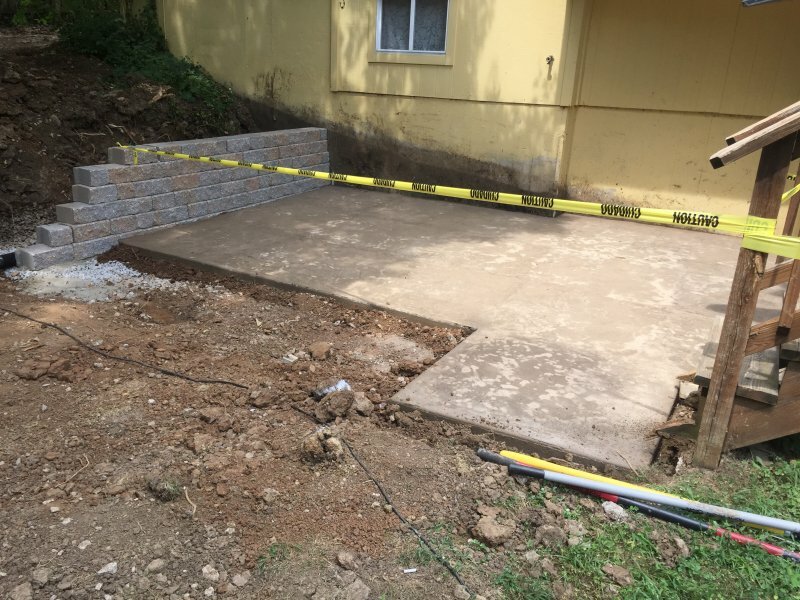 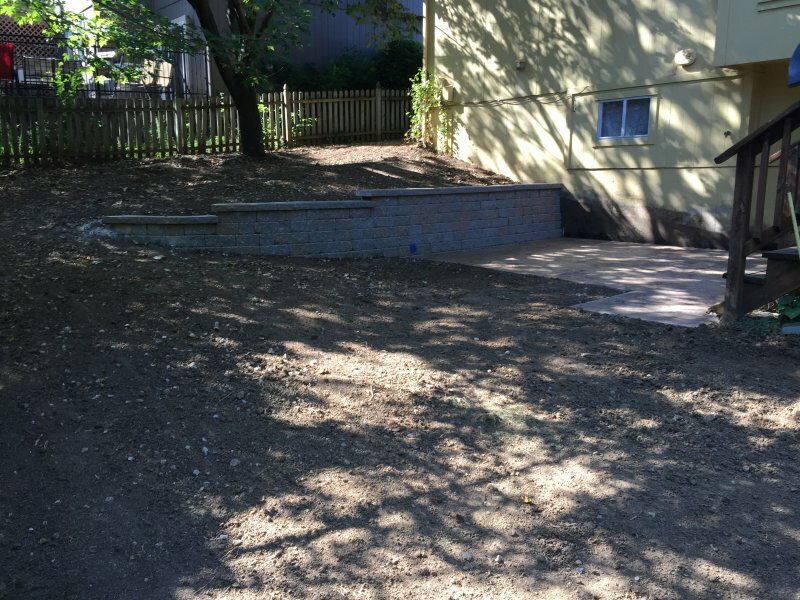 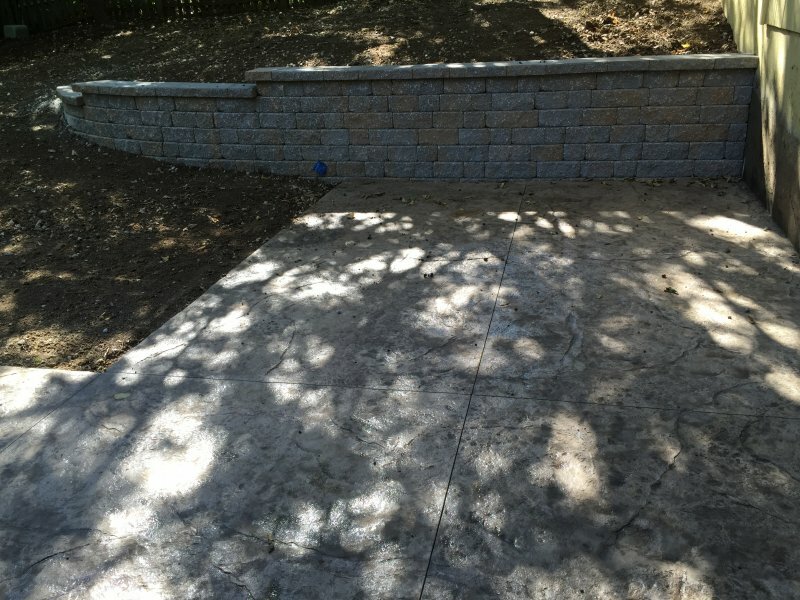 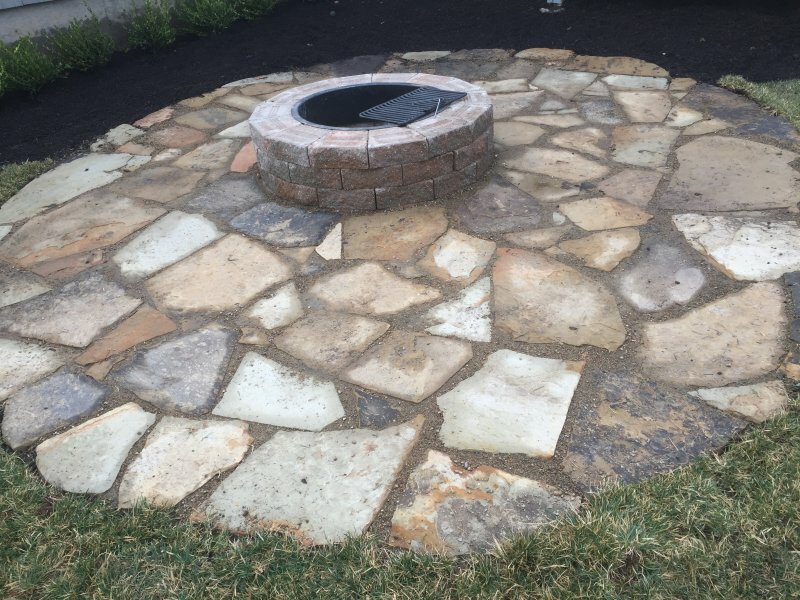 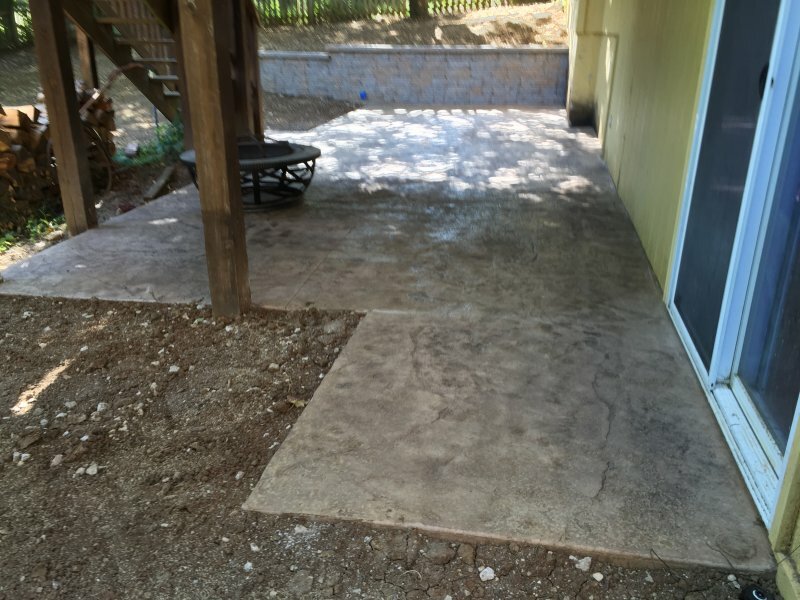 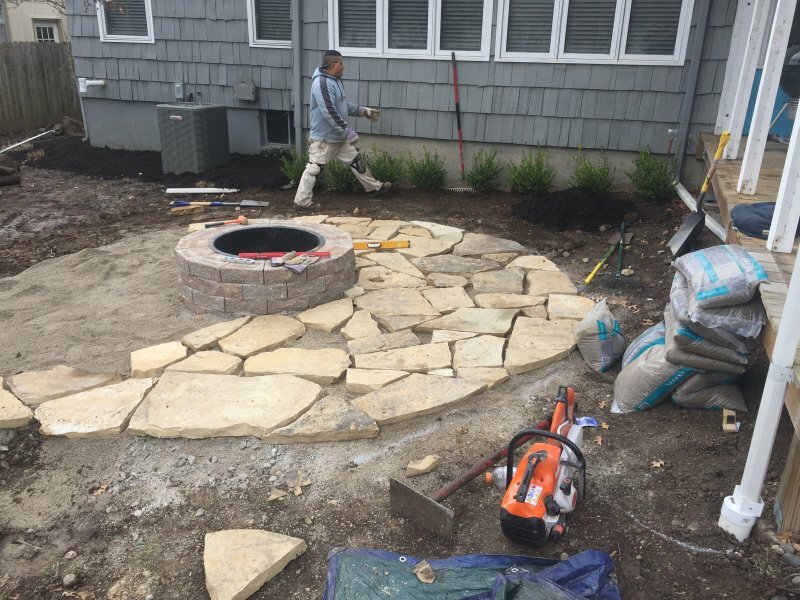 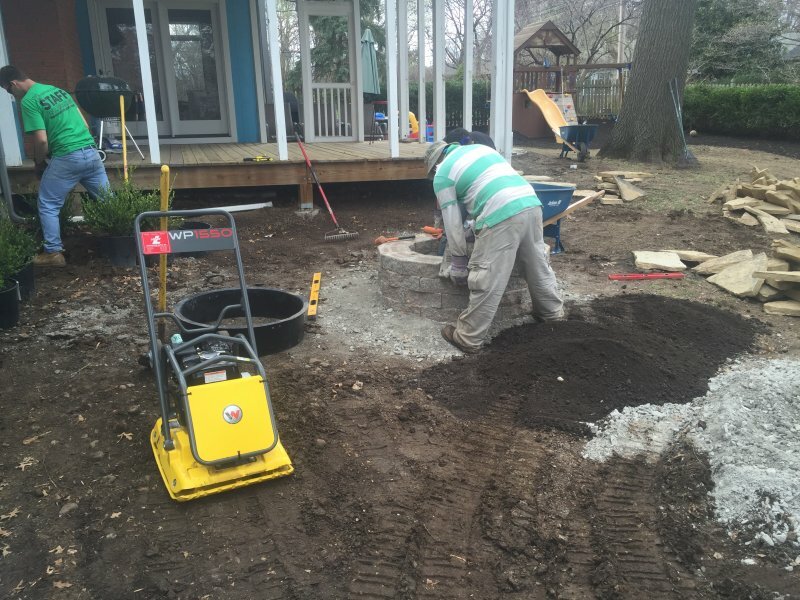 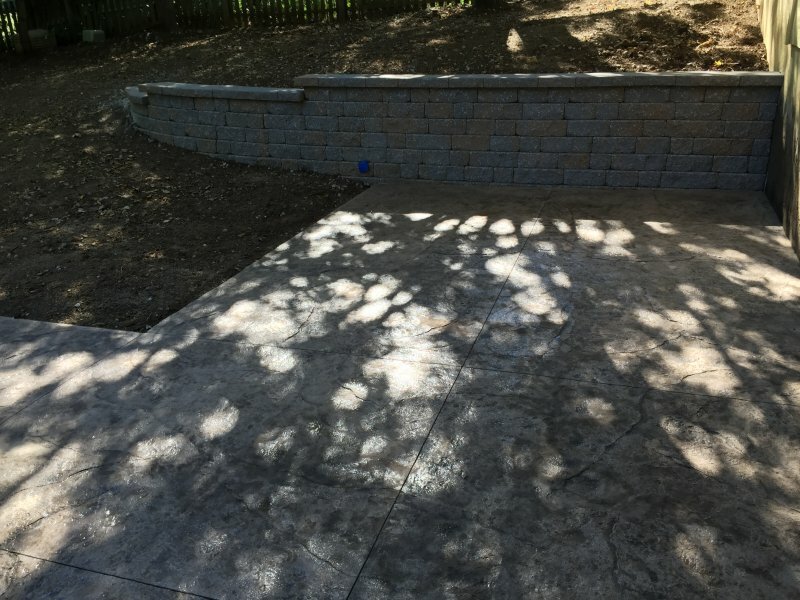 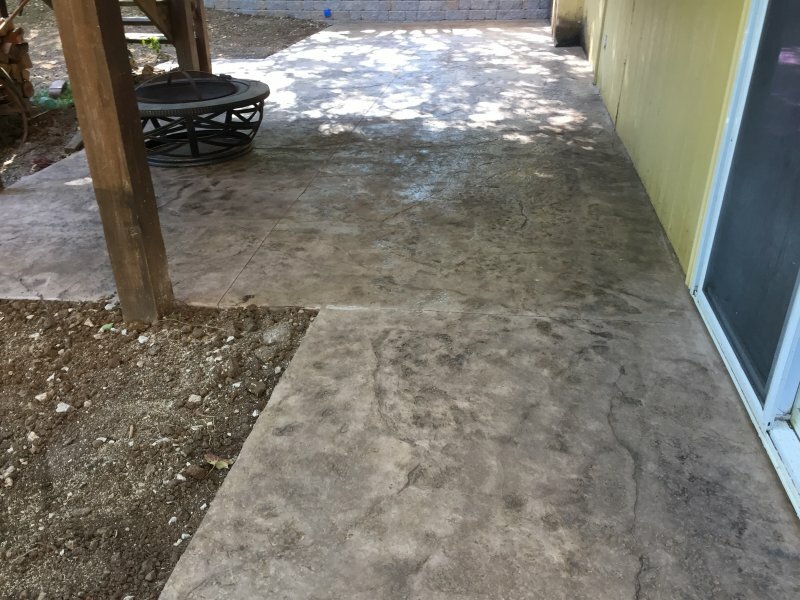 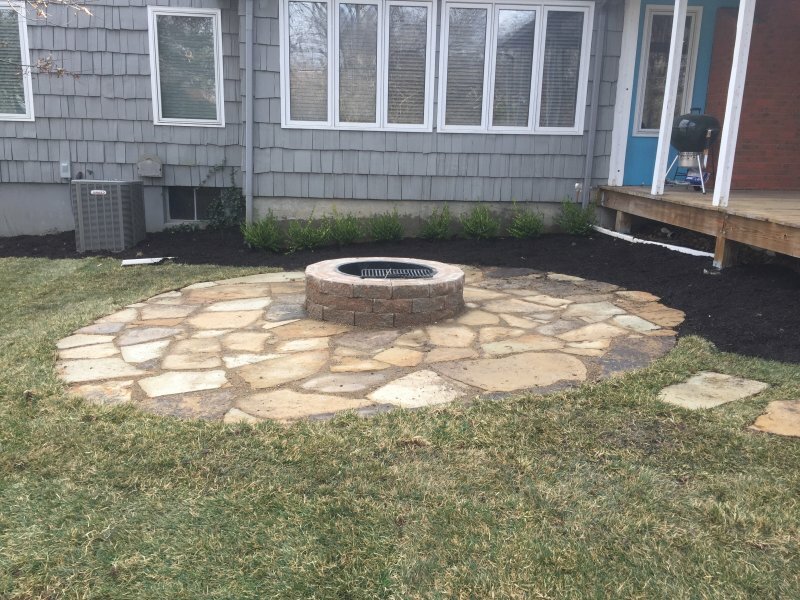 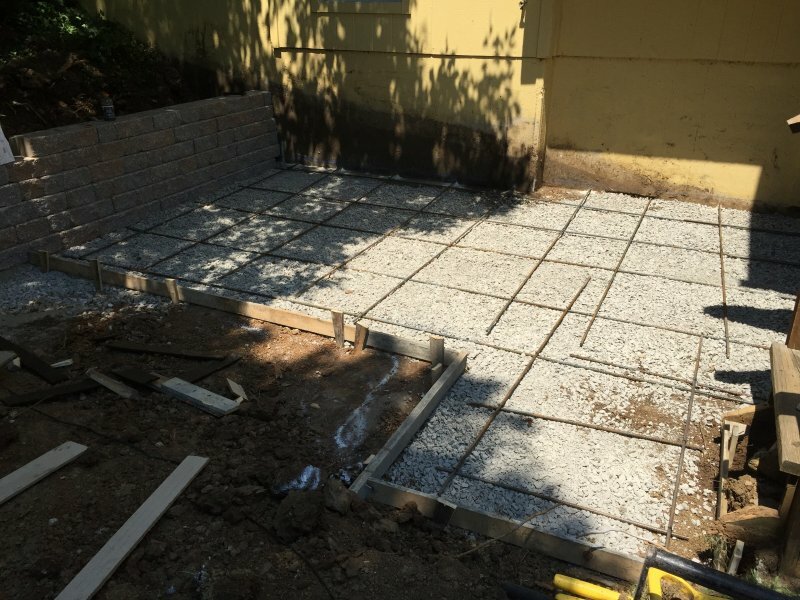 Rear yard landscape custom retaining wall with integral colored & stamped concrete patio. 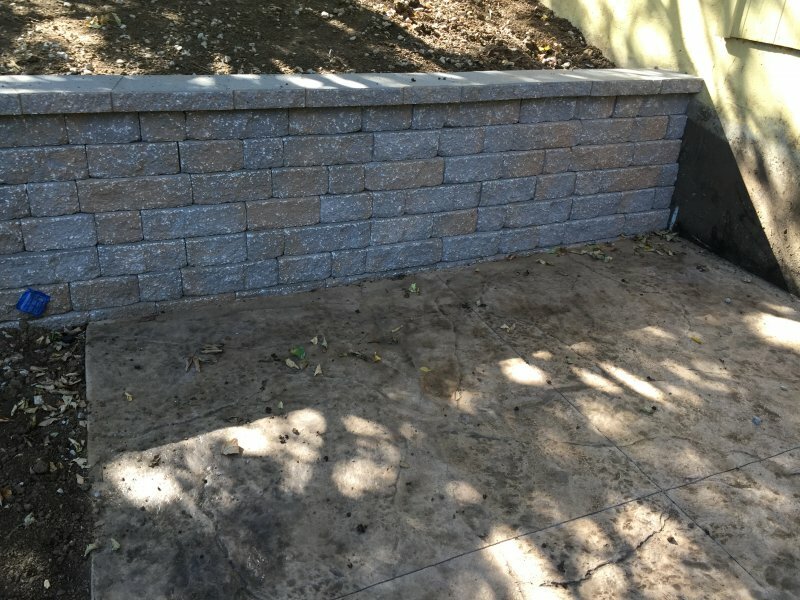 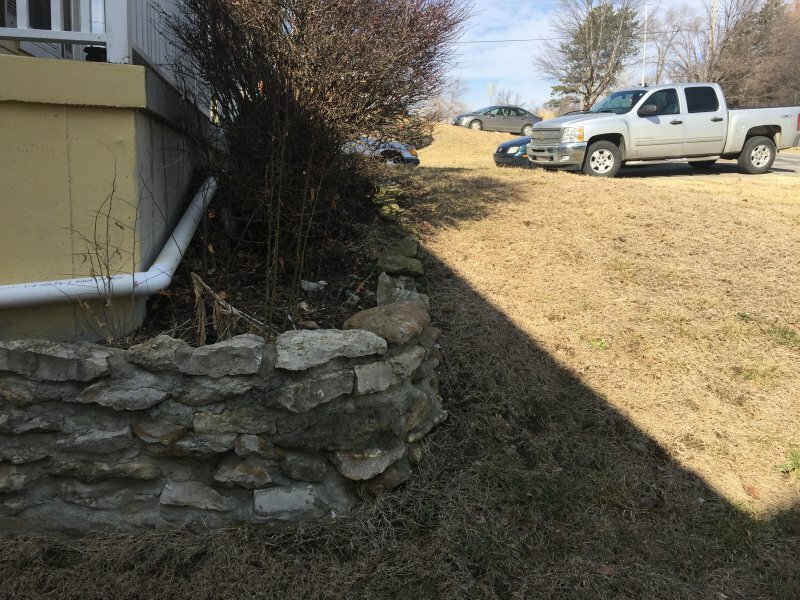 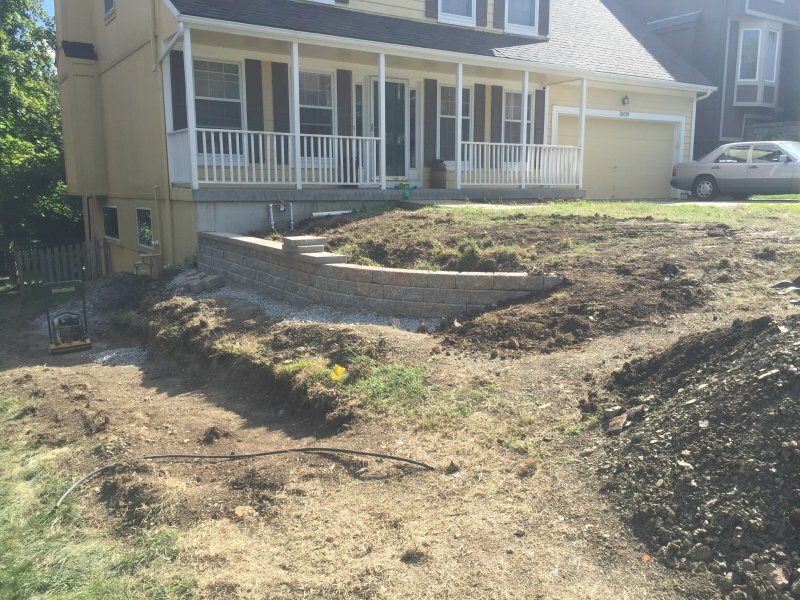 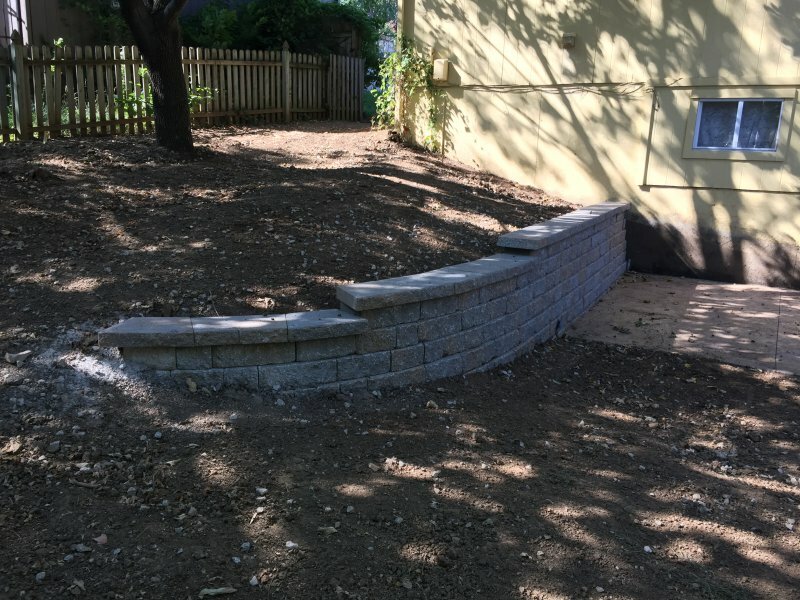 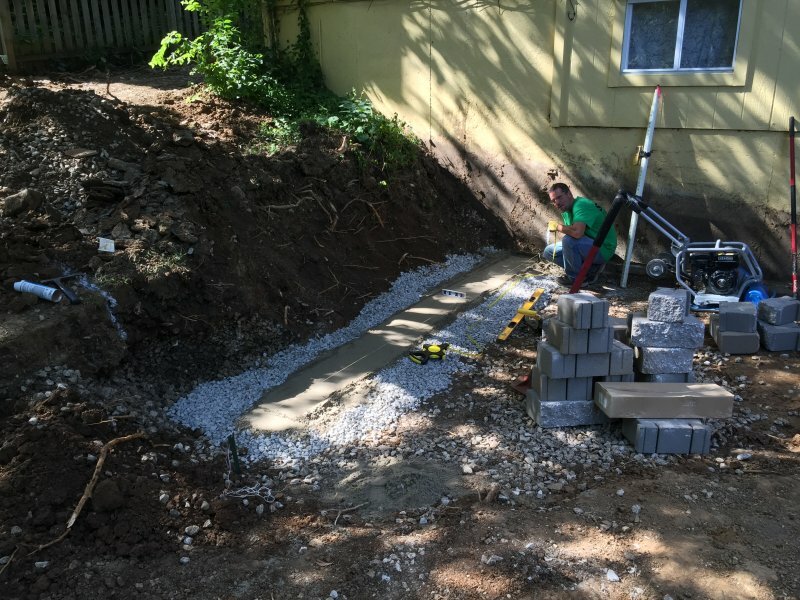 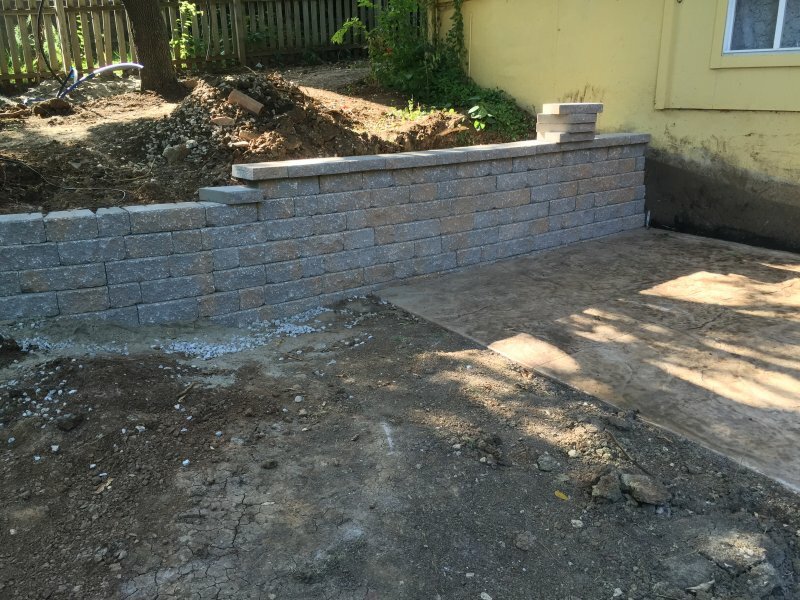 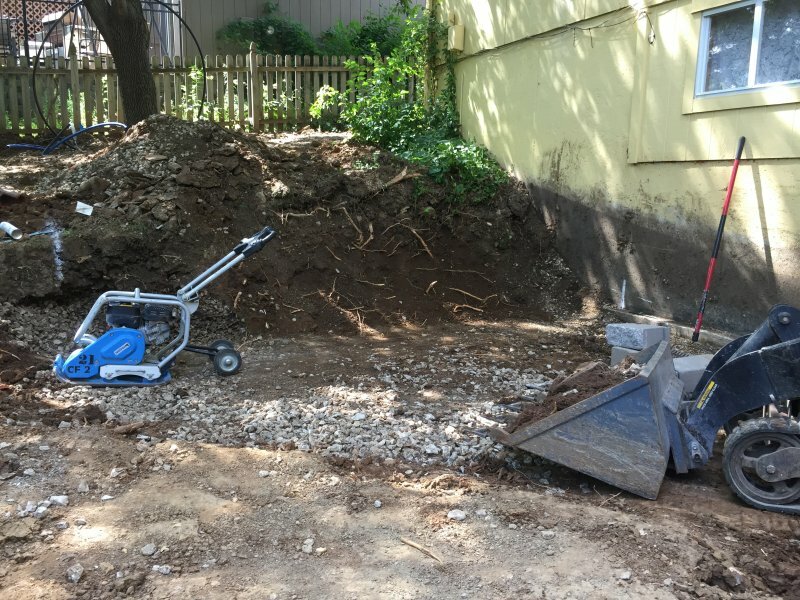 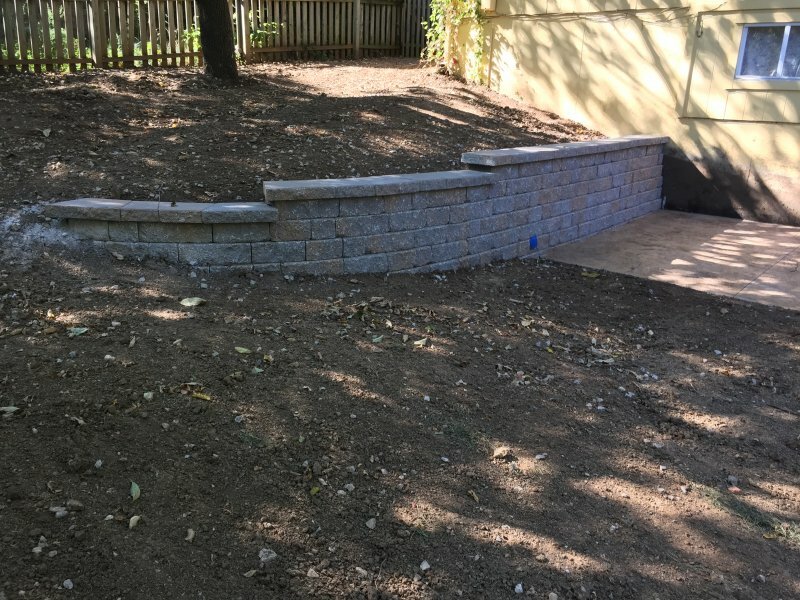 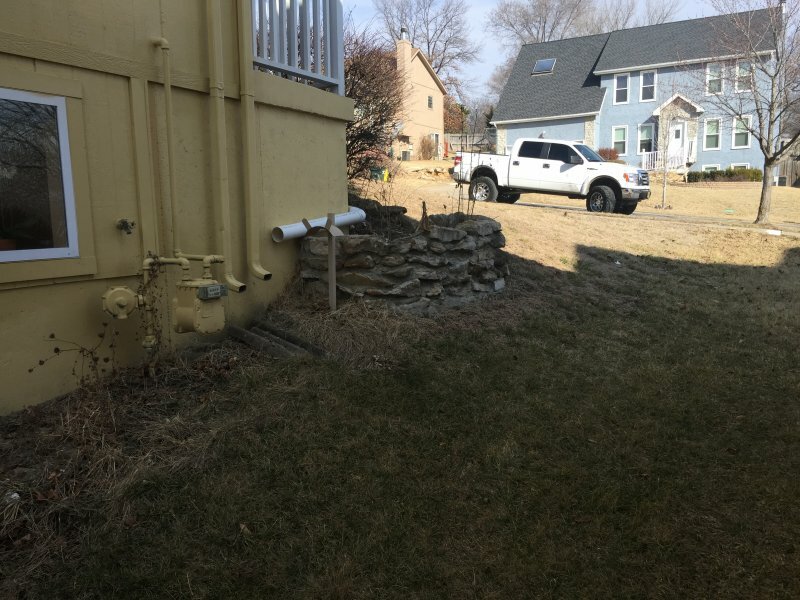 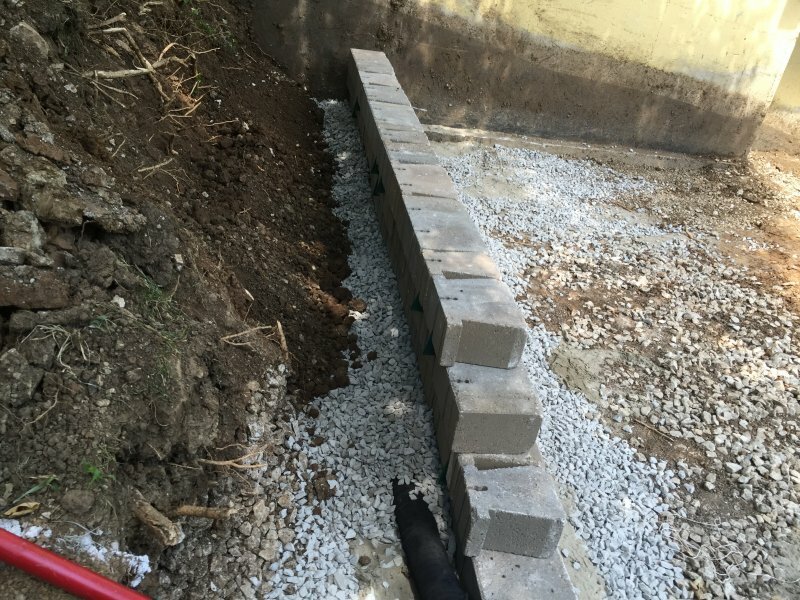 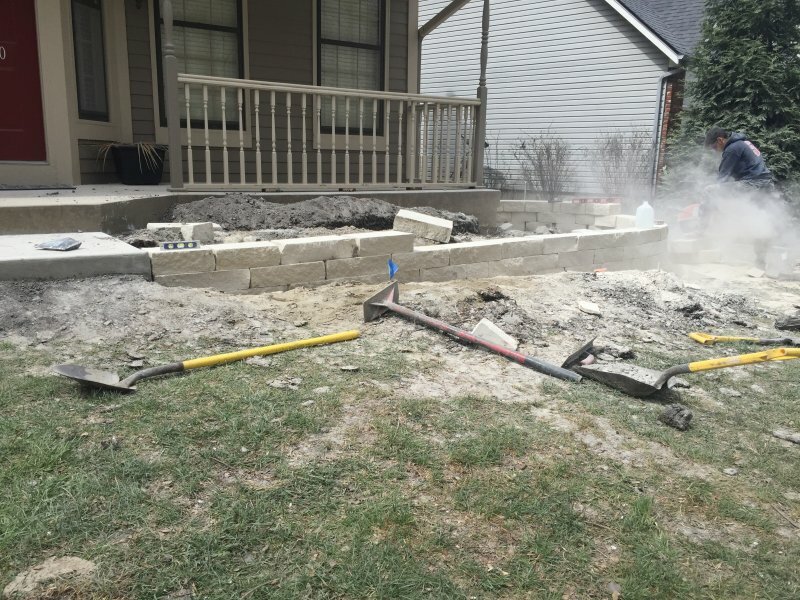 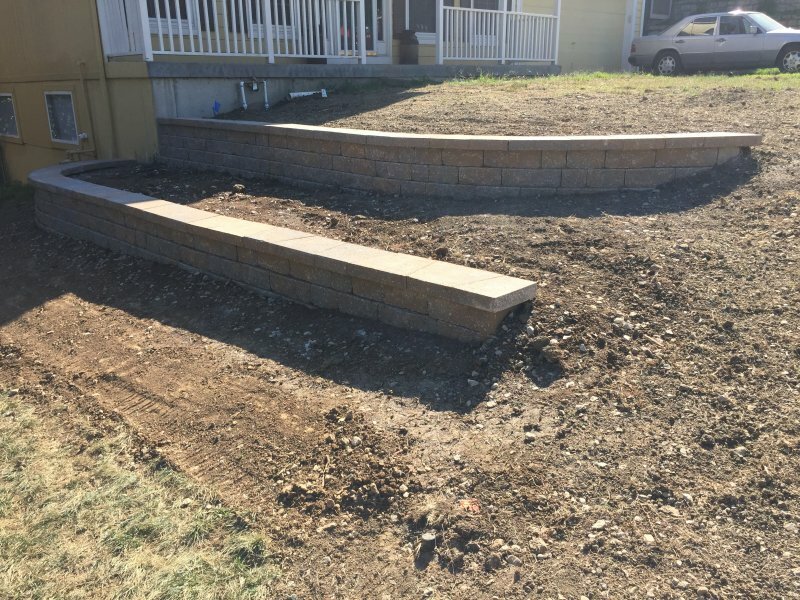 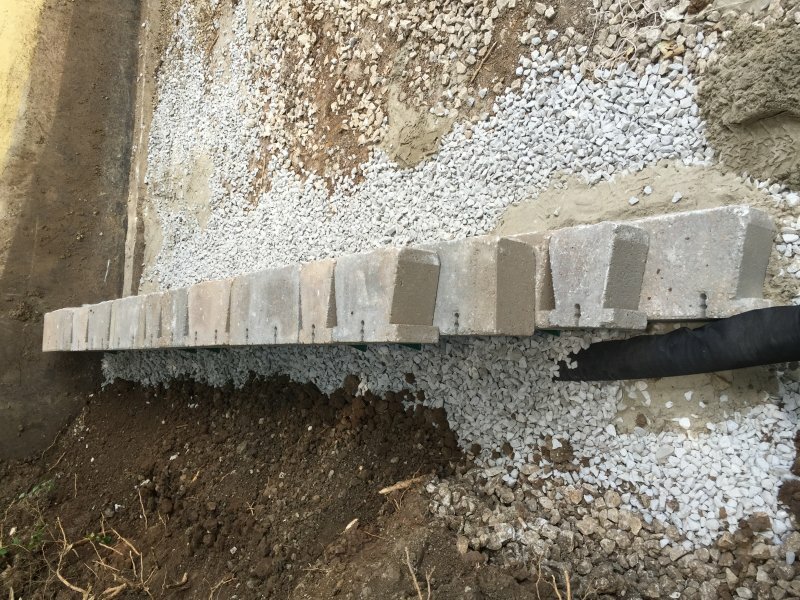 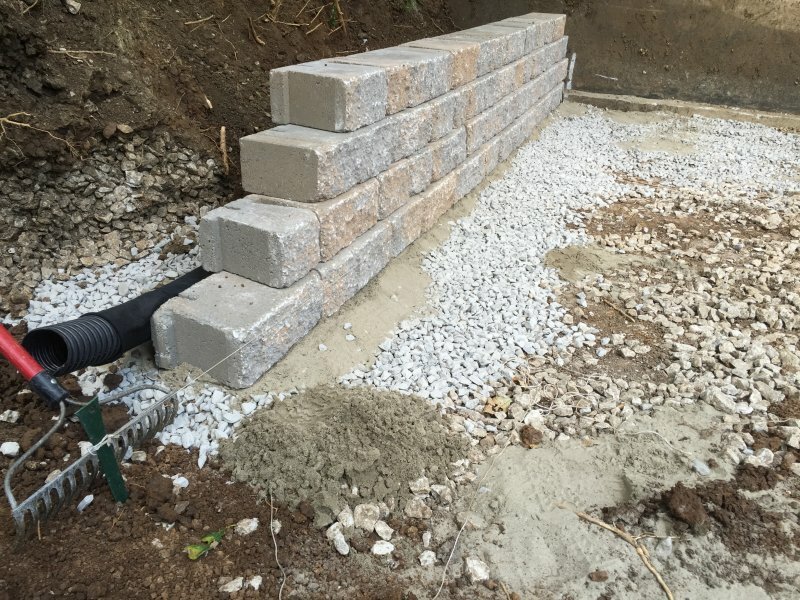 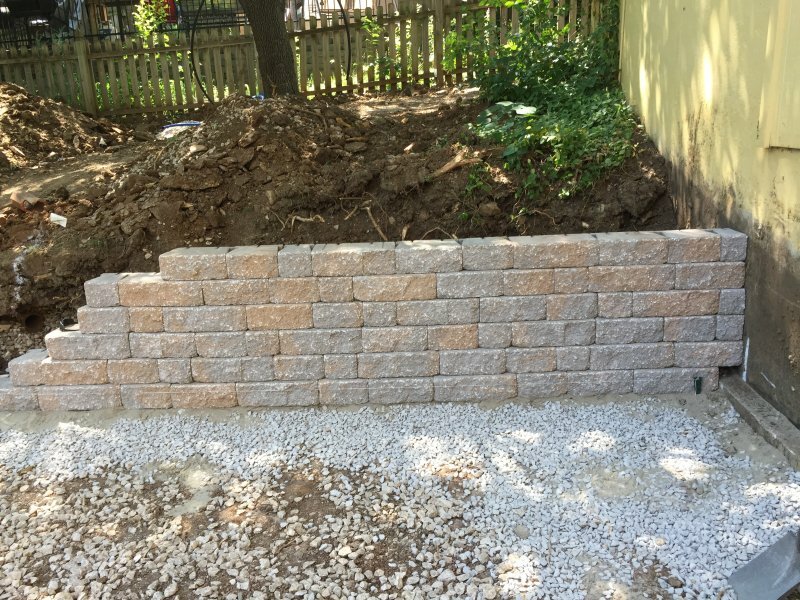 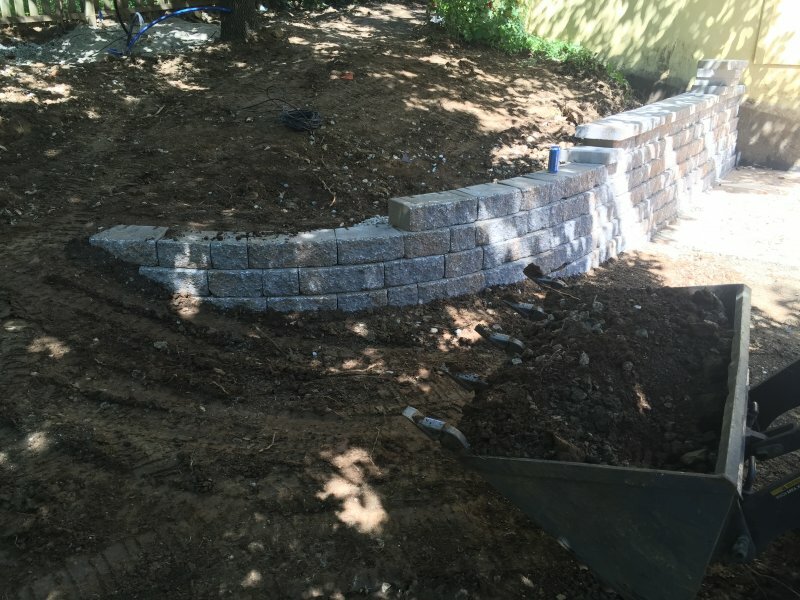 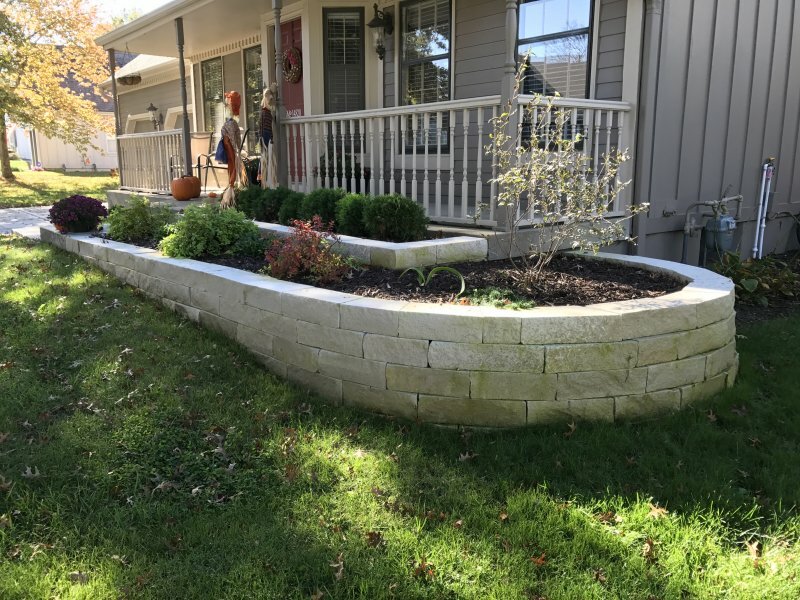 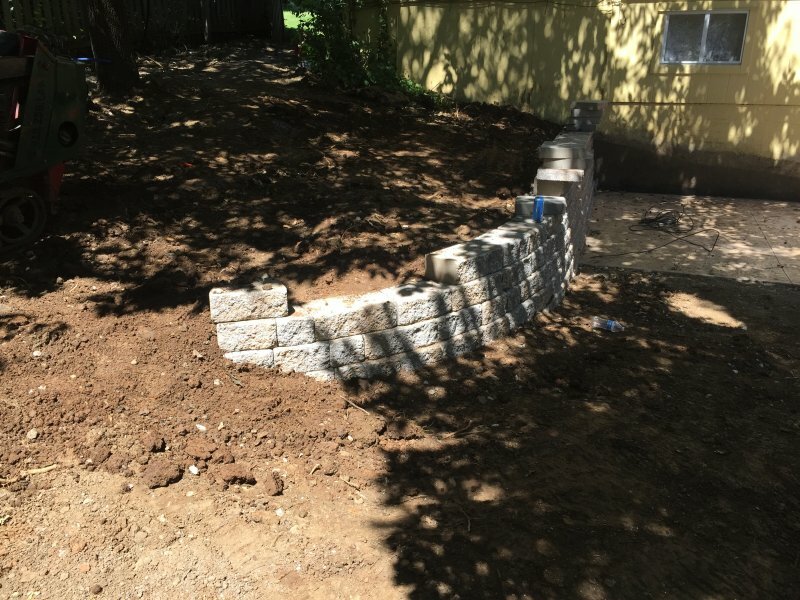 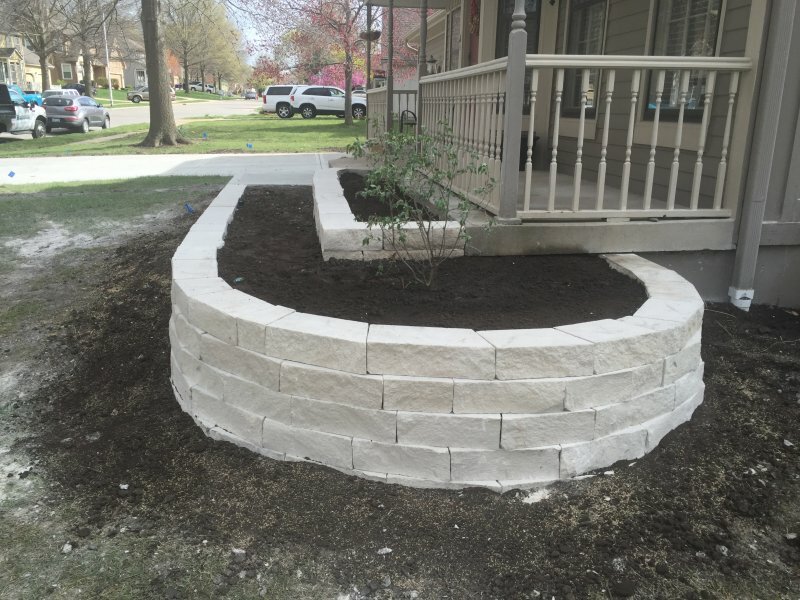 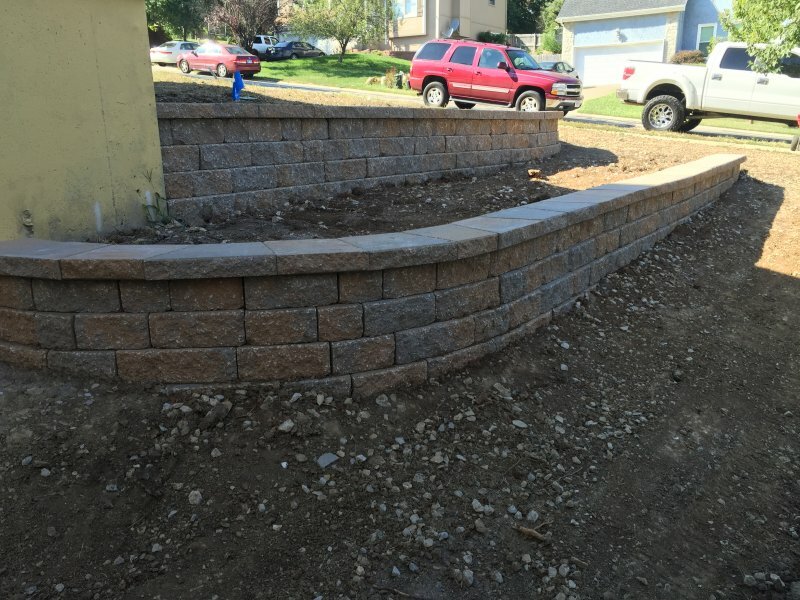 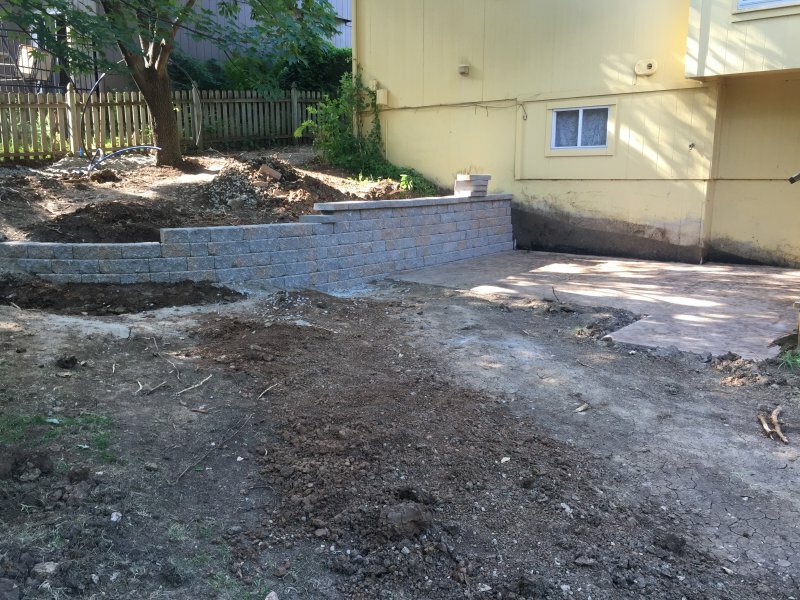 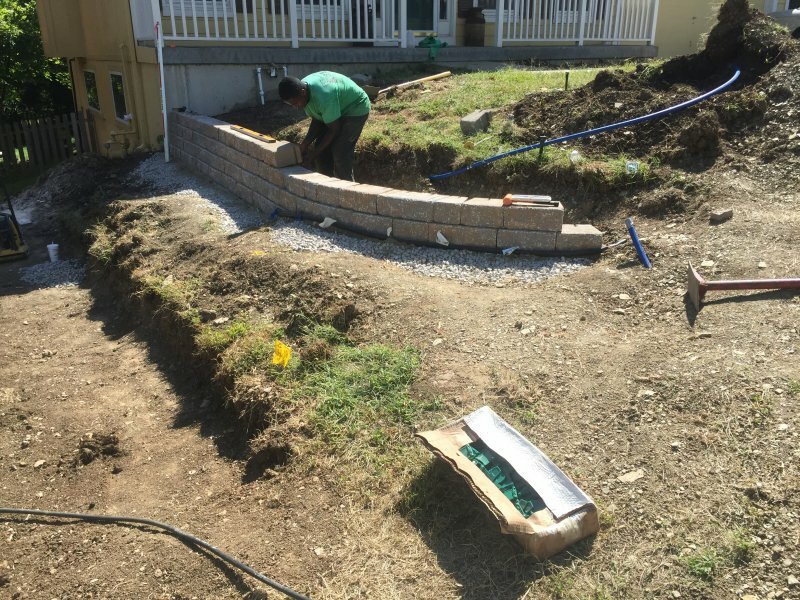 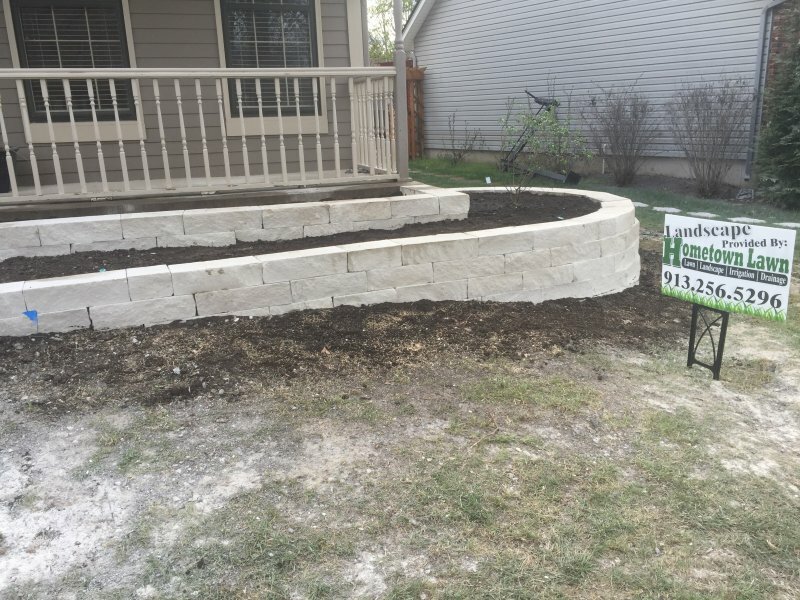 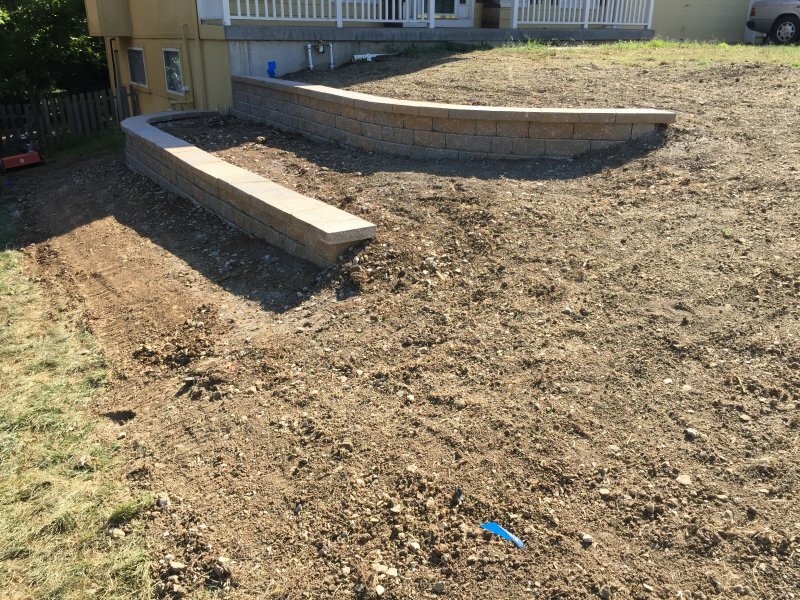 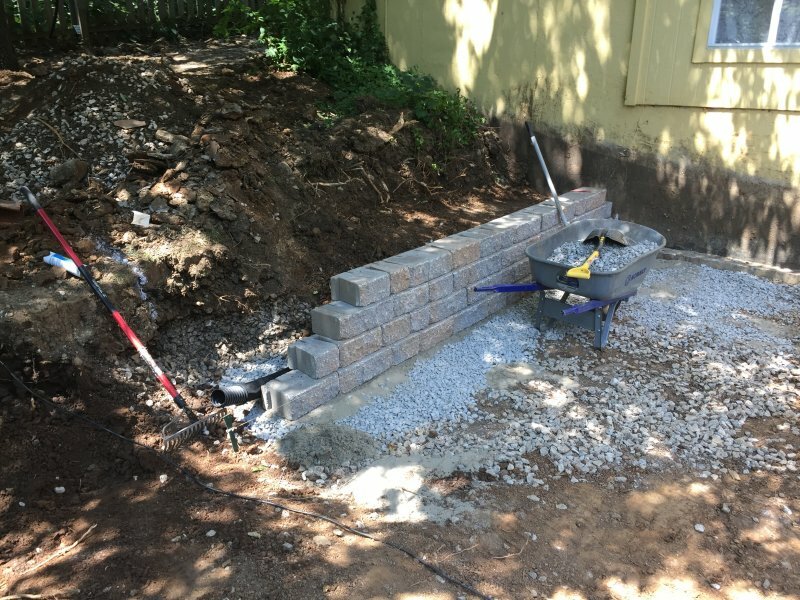 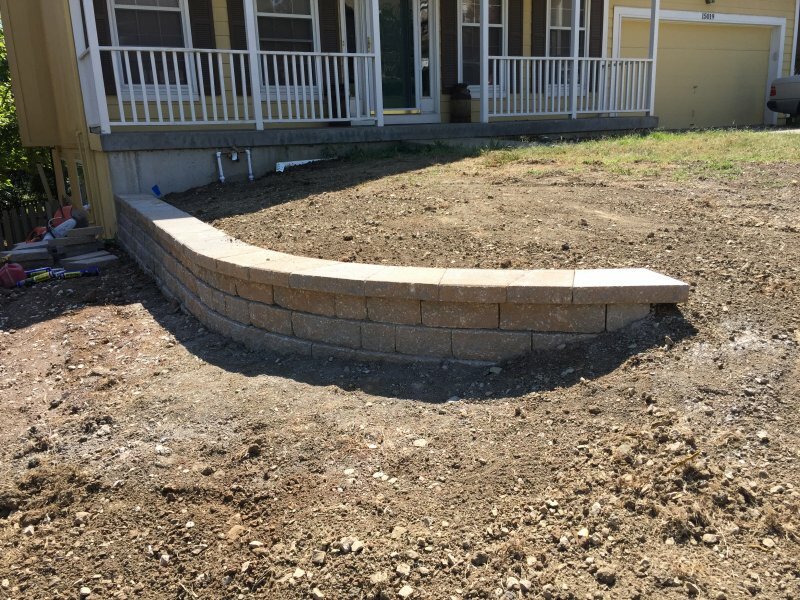 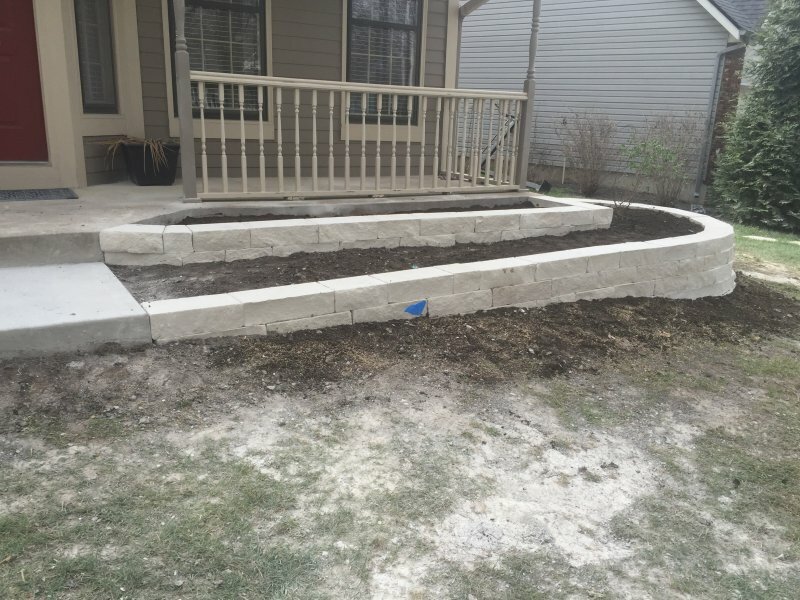 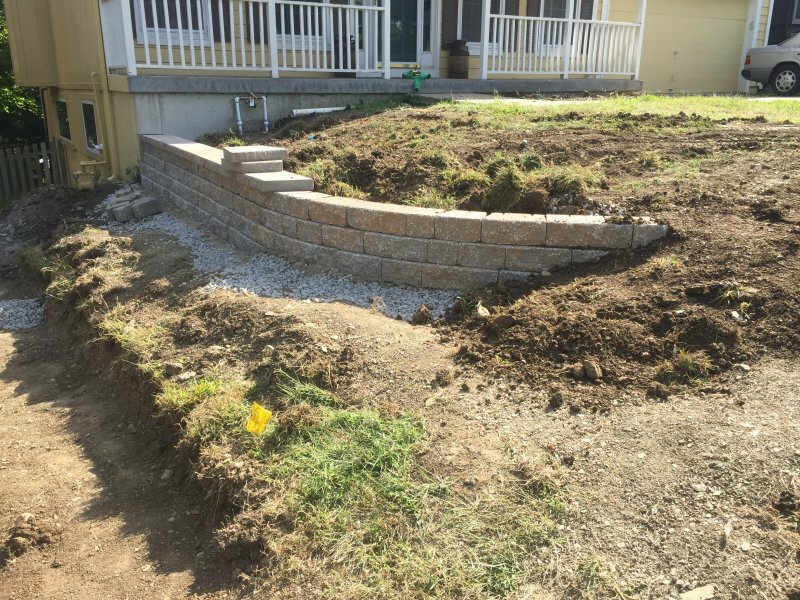 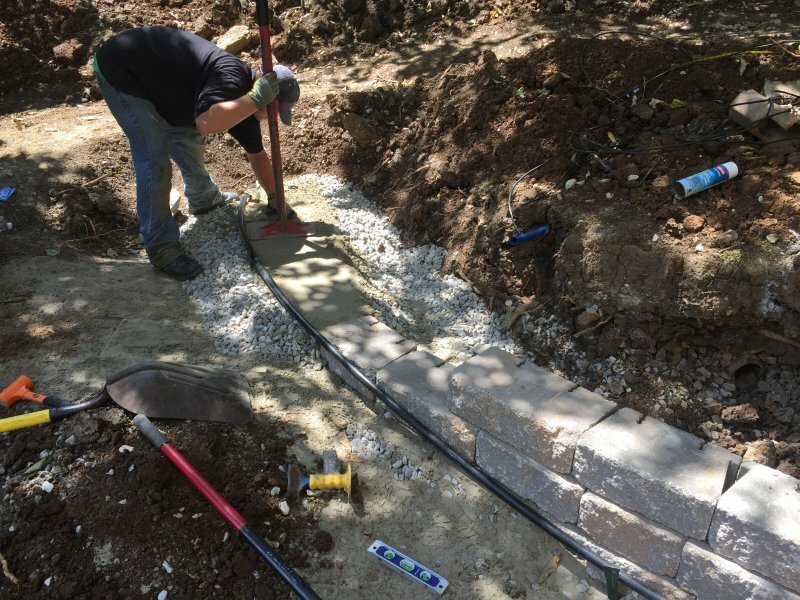 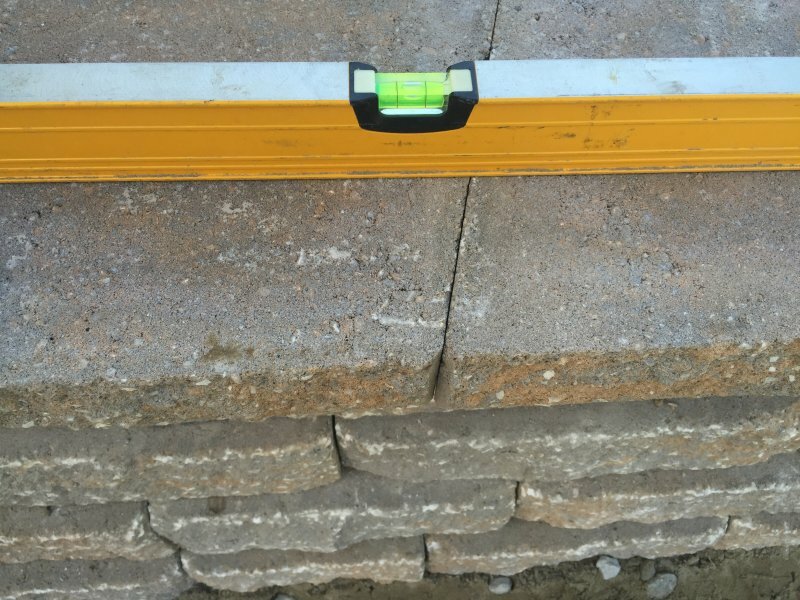 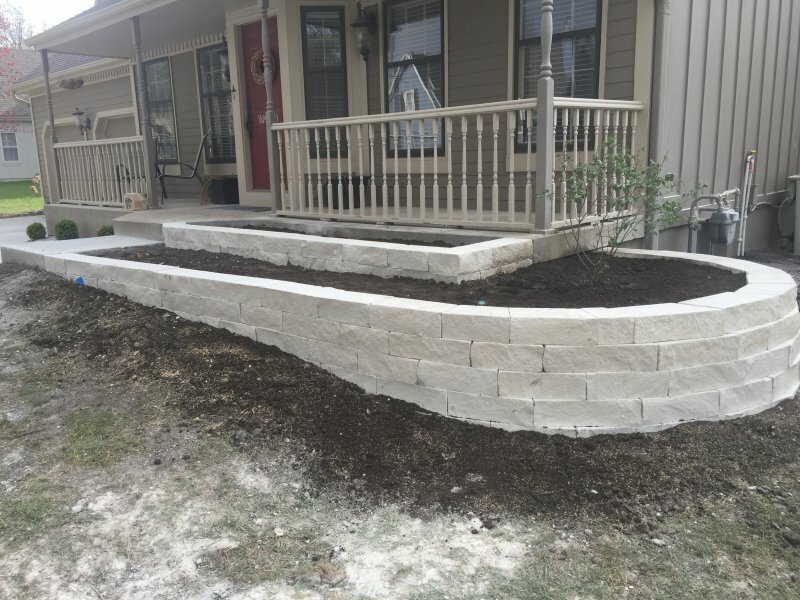 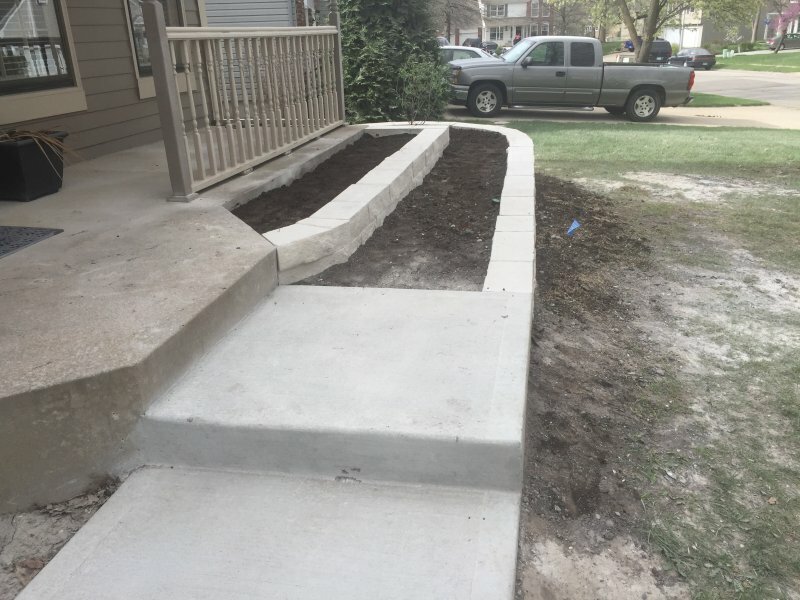 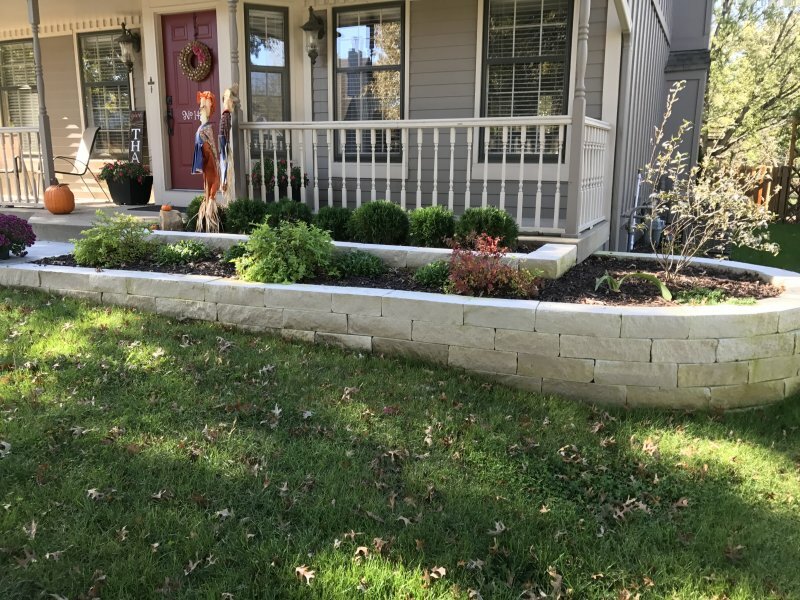 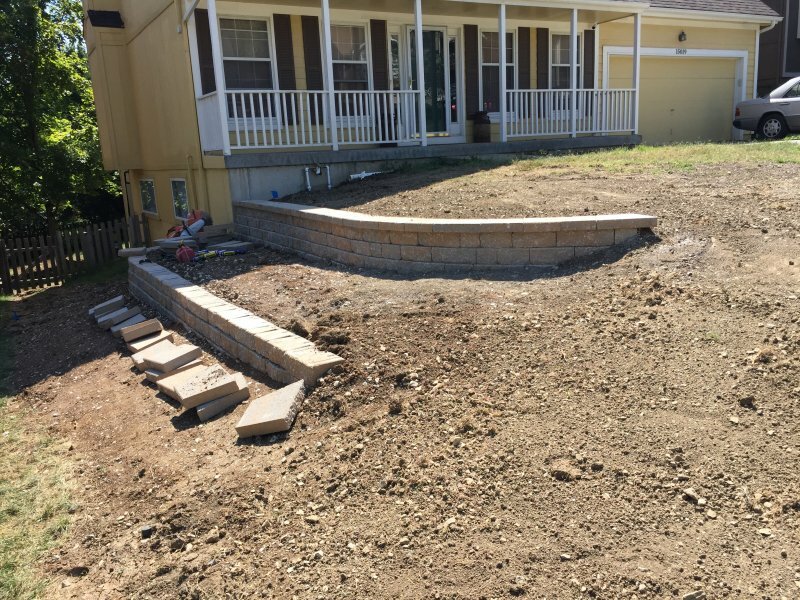 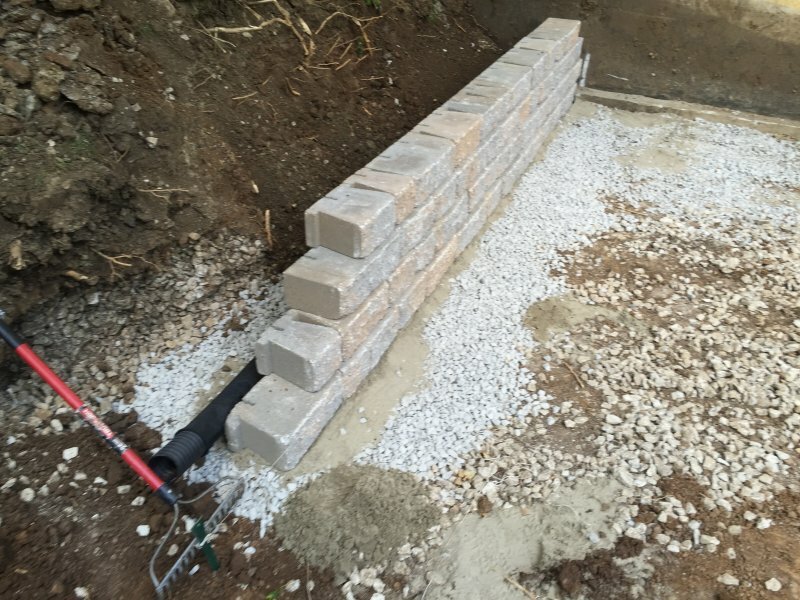 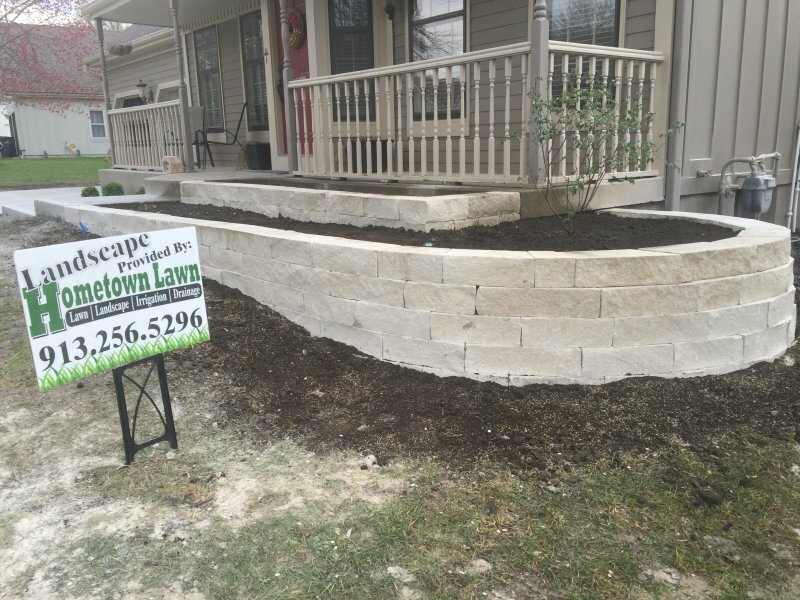 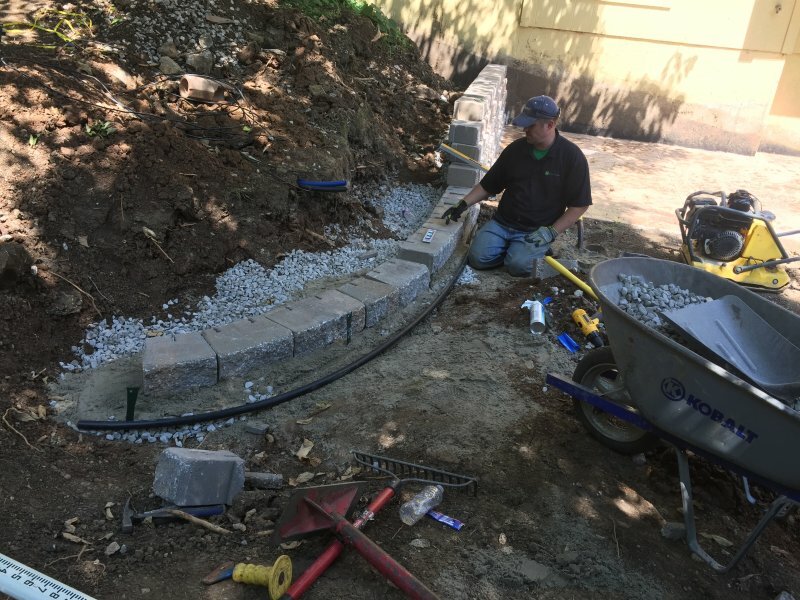 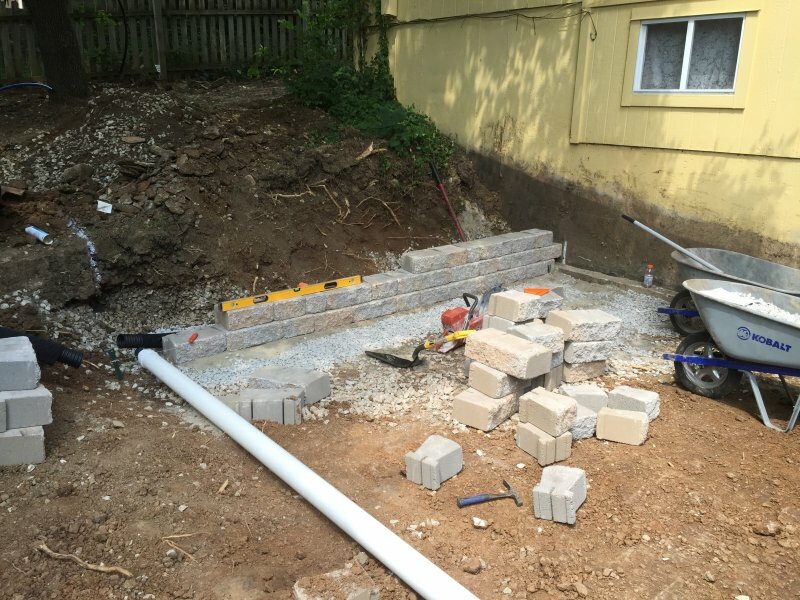 Front yard landscape custom 2-tier retaining wall.